 Greensboro Real Estate News - Palmetto Equity Group, Inc. Selling your home isn't always easy. In order to get the best value for your property it is critical to use your time and energy wisely in preparation. This way the sale will go smoothly and will hopefully satisfy your goals. Read on for some great tips to help get the interior and exterior of your house ready for the market and ultimately (hopefully) get it SOLD! Curb appeal is important.. don't underestimate the buyers first impression because it could initiate their positive or negative attitude about the rest of your home. There is no need to go over the top... just try to make sure everything looks neat and preferably 'alive'. 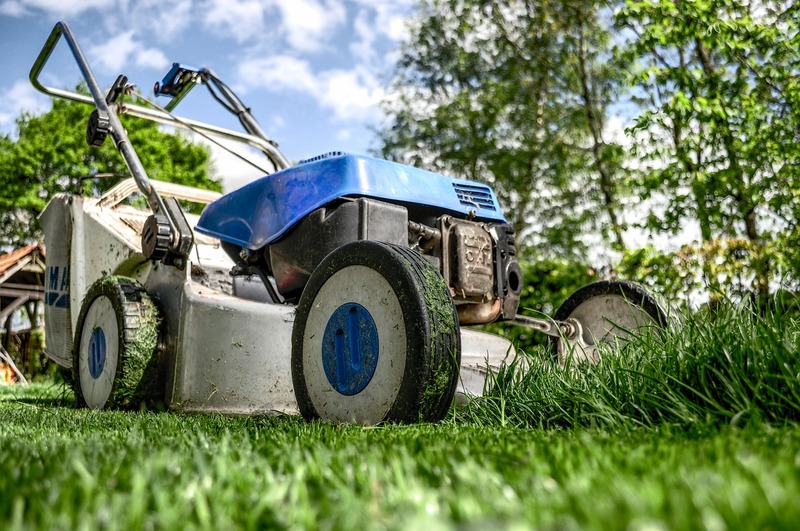 Trim the bushes, mow the lawn, maybe even buy a few bags of mulch or straw to put in the flower beds for a small but prosperous transformation. These simple improvements can increase home value believe it or not! This is a really helpful home selling tip because it is one of the most cost effective ones - make your home clutter free (as best you can). Maximizing the space you have to work with is key. 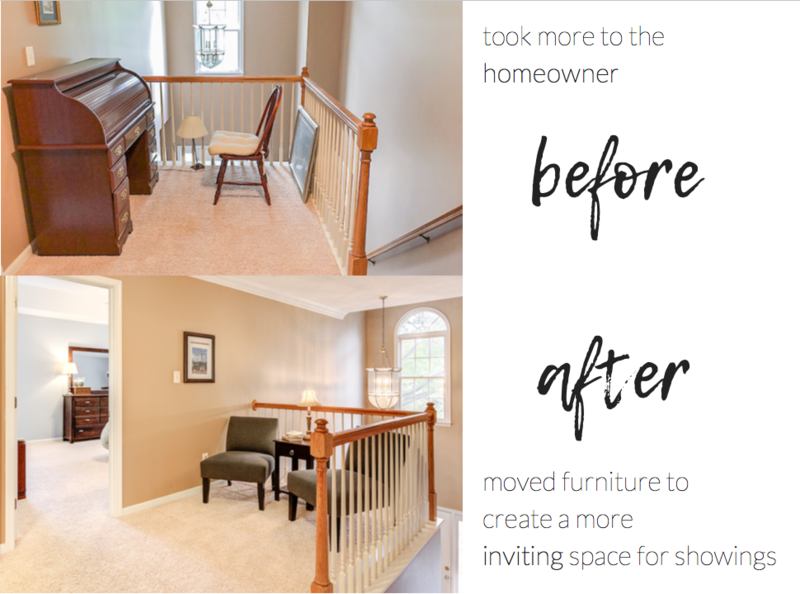 The more clutter, the smaller the space feels and a little bit more awkward for buyers as well. This doesn't mean you necessarily have to go through every little thing and organize it, there are alternatives. 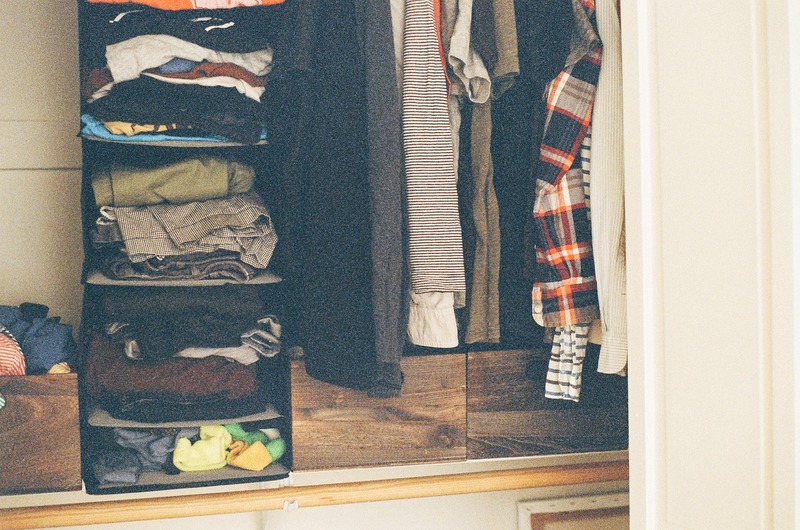 You can put things away in closets or drawers just to clear out the space or even rent a small & cheap storage unit to simply hide things away for showings. 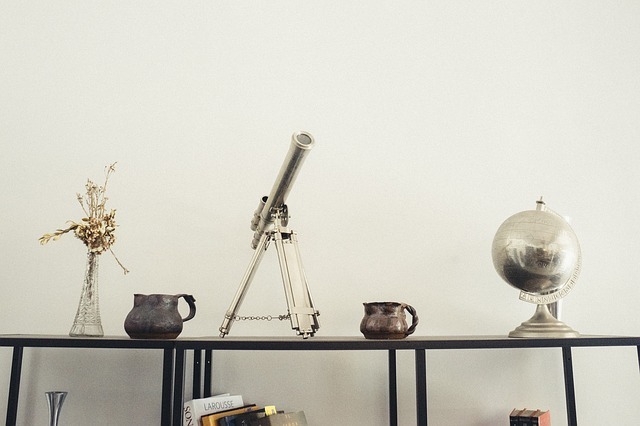 Keep in mind that the majority of today's buyers love spaces that feel bright and open. Many people are not able to have a 'vision' of what the home could look like for them, so help them out by creating a vision for them (one without your clutter in it). It is amazing how a new paint job can COMPLETELY and I mean completely change a room. We highly recommend getting advice from an experienced Real Estate agent or interior designer on this one. Considering trends change every year, it is important to have your home fit the wants and needs of the masses considering buying it. Make sure the interiors do not look dreary and dark.. neutrals seem to be a safe play but don't be afraid to spice it up with a fresh contemporary color here and there. 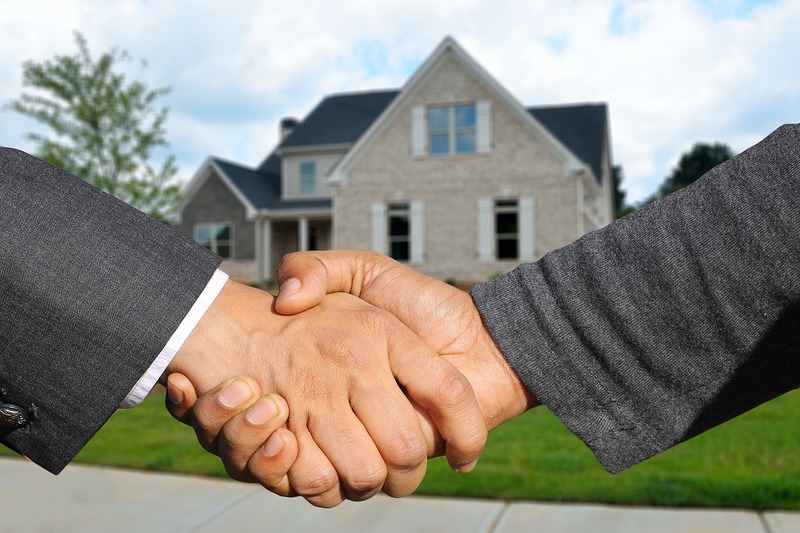 This next step - hiring a great Real Estate agent - is an important one. Not only does working with a professional have a TON of benefits, it also takes so much stress off of you as a seller. Having an experienced agent, it is more likely to sell faster and even reap more money for your home than if you sold on your own. Before the selling even starts, a Real Estate agent can help you price your home correctly, give you advice and tips on the best and most cost effective ways to upgrade your home, and ultimately help lead you through each step of the selling process so you don't feel overwhelmed. As simple as this sounds, it is crucial to market your home everywhere OFF the online market as well. 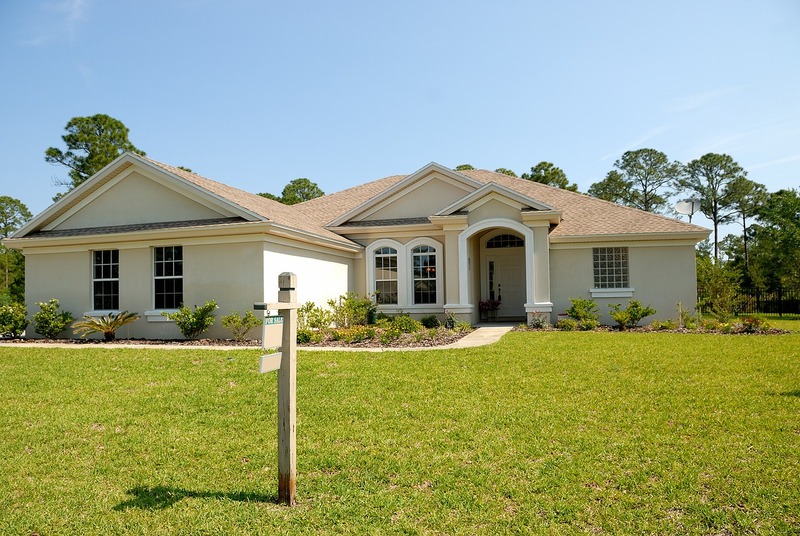 The basic task of putting a "For Sale" sign up in your yard or down the street on a busy road could be the helping hand in leading someone directly to your property. Real estate signage shouldn't be underestimated. Many homes have solely been sold just because of the "For Sale" sign over the years. Think about it... there are plenty of people out there that 'don't necessarily want to move right now but if that PERFECT house was for sale then maybe..' then they see your house & the "For Sale" sign out front - and it's their DREAM home! 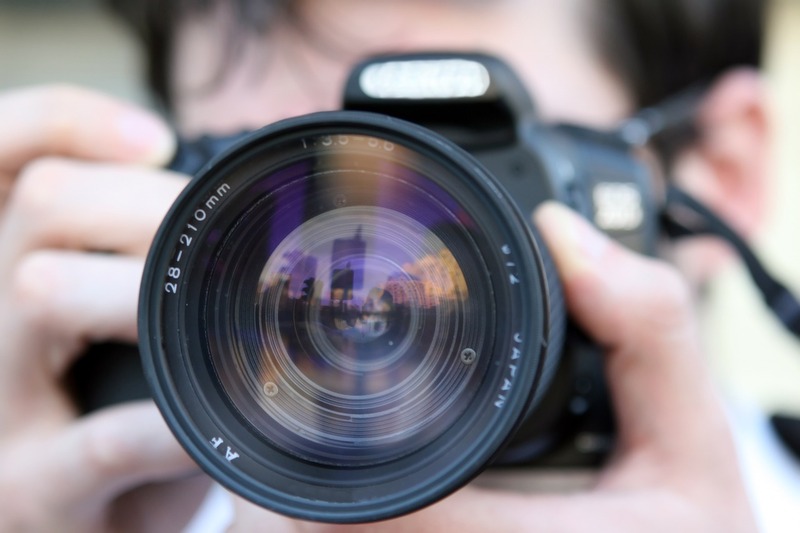 In addition to photos, it is a good idea to use some form of a video or slideshow tour. We have tried this for some of our listings for sale and even for rent and shows to be super successful. Again, when working with a Real Estate agent, you will also get years of experience and several trustworthy contacts allowing for the best recommendations and services - including videography and photography. 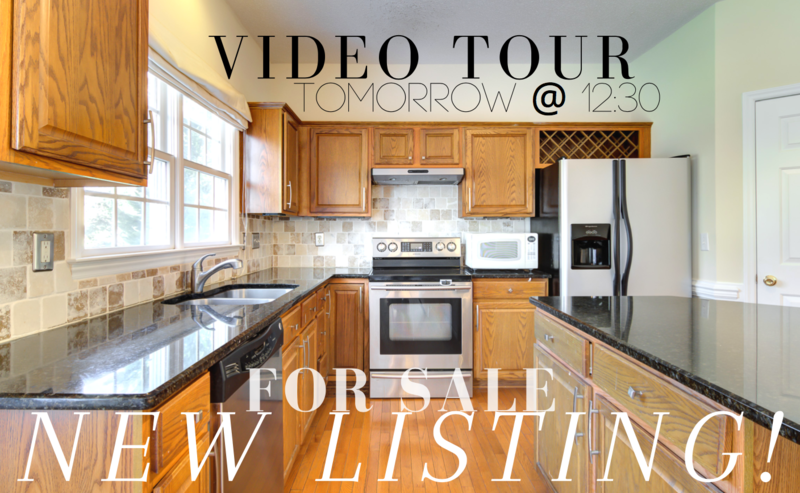 Having a video tour of a listing can really help seal the deal after the buyer views the photos. Another thing to keep in mind when hiring a real estate agent - make sure they know what resources are available in regards to online marketing. Some agents are a bit more old school and don't take on the fresh online marketing tools. A realtor with their own website is awesome, but it is tremendously beneficial if they have Instagram, Twitter & Facebook accounts as well to market on every platform. (YouTube is a plus!) Using all of these marketing sources for your property will give it way more exposure than just being on the MLS (Multiple Listing Service). Making your home stand out from the competition is key! 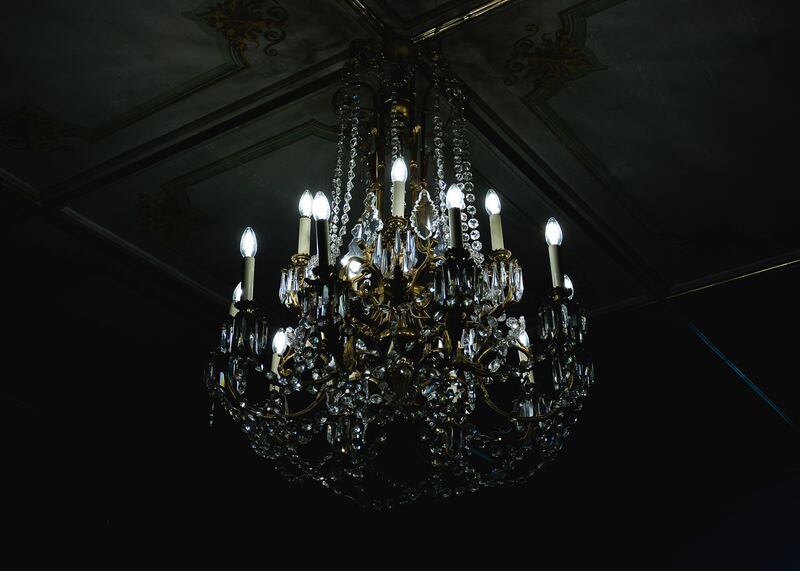 What do you think looks more inviting: open blinds lighting up a room or closed blinds leaving it dark and dreary? Doesn't really take a genius to answer that one, but sometimes it is amazing the basic things that people forget when showing their home. 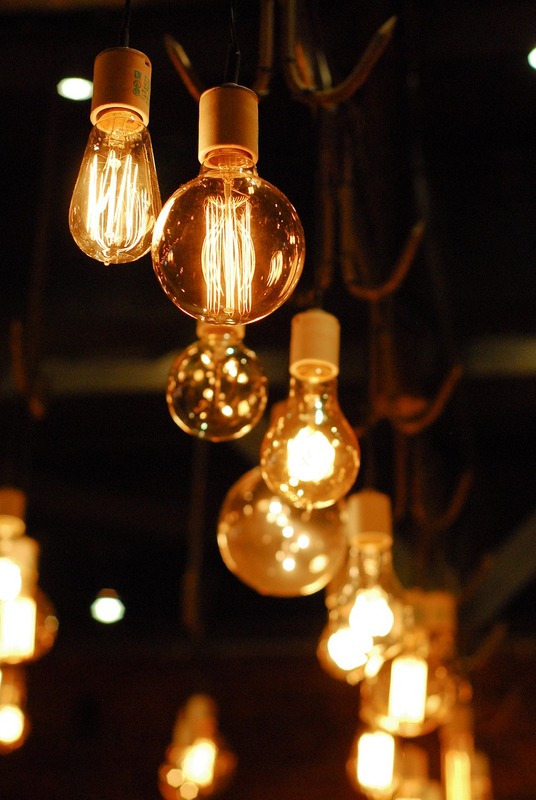 Take advantage of every single bit of light you can to open up your home and make it bright as can be. 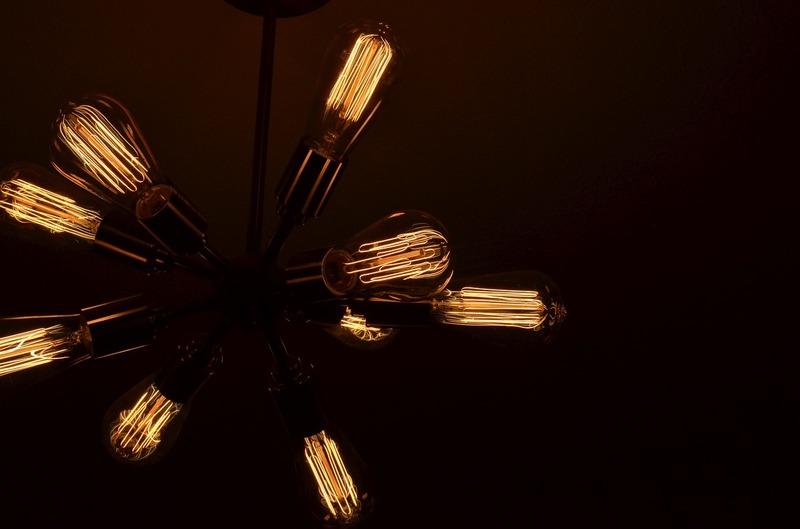 Even buying LED lightbulbs can help brighten it up to the next level. A good recommendation for showings is to always make sure all blinds are open, curtains are drawn back and all lights are on. Presentation is super important even if it takes you that much more time for set up each time a person comes to look at the property. 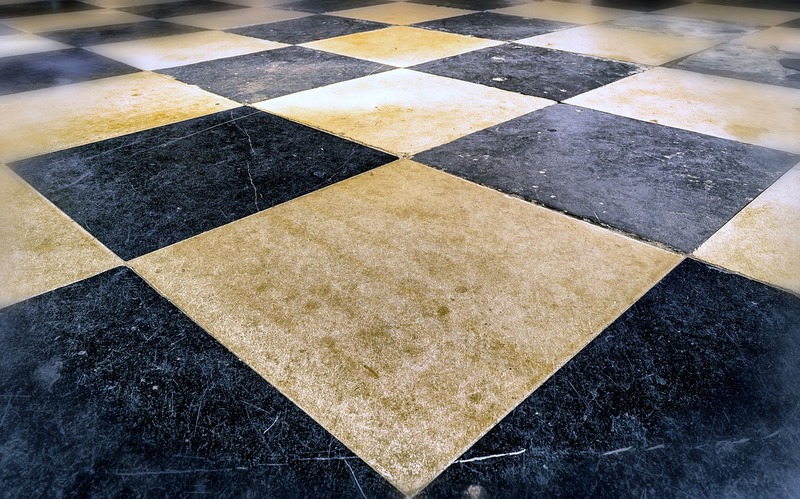 A dirty home can turn buyers away quicker than anything else most times. The easiest way to make sure this doesn't happen, is to hire a professional cleaning company. Again, Real Estate agents typically know of fabulous recommendations for this process. Kitchen and baths are very important spaces that need to be clean. Anywhere that people would see their hygiene being affected needs to be spotless. 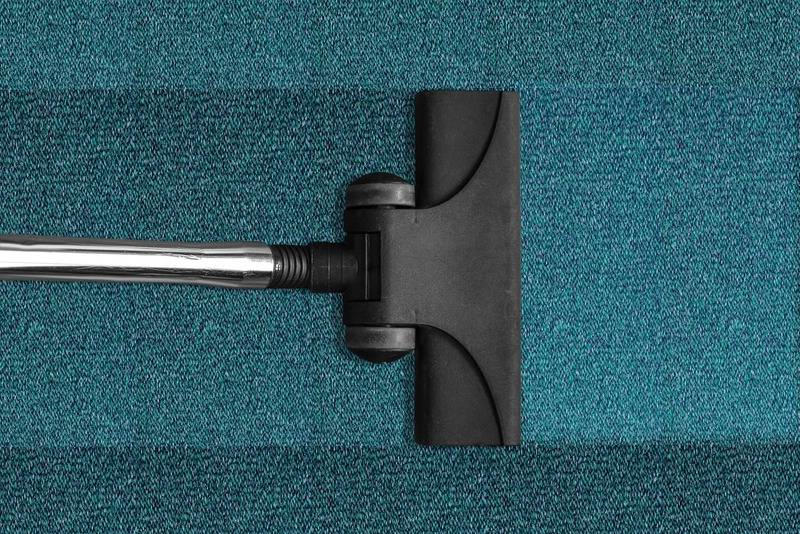 If you have carpets, make sure they are cleaned as well. 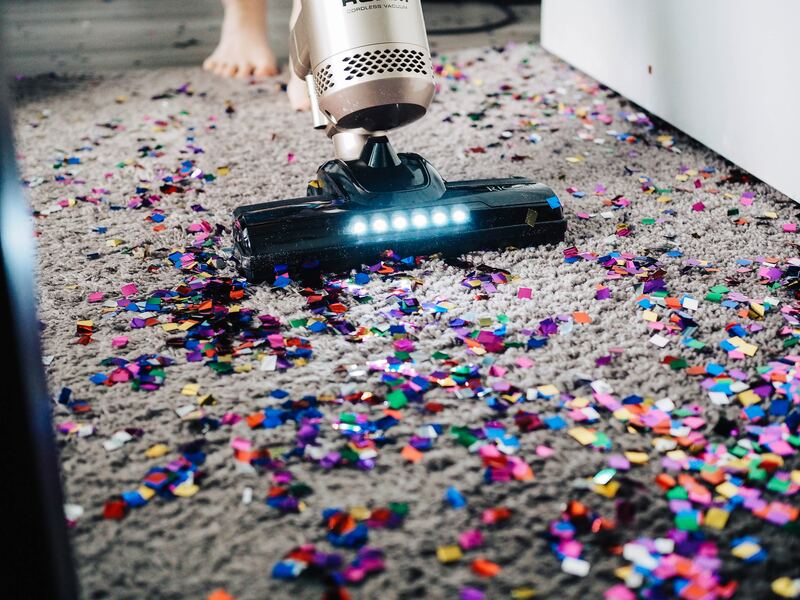 Not only does it look great when carpets are cleaned with the fresh vacuum marks across the floor, but it smells lovely too. 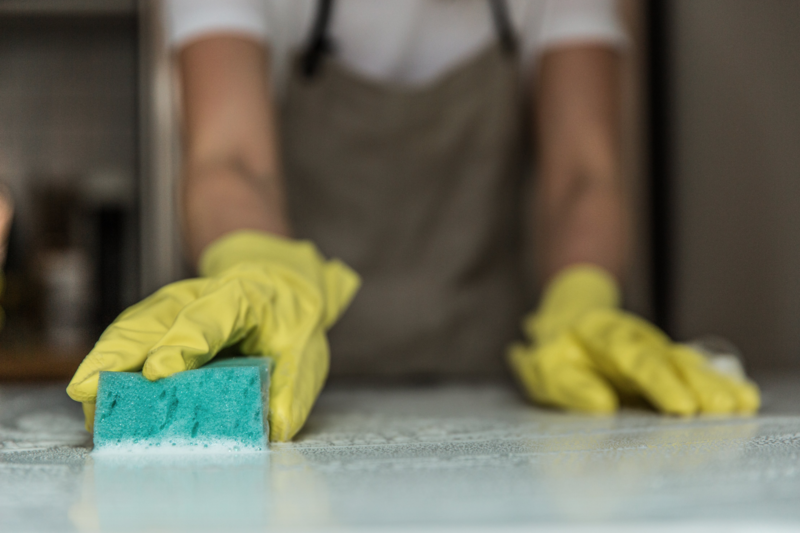 Getting your home cleaned will really help in the long run and save you money from a potential buyer backing out because the house seems dirty or uncared for. 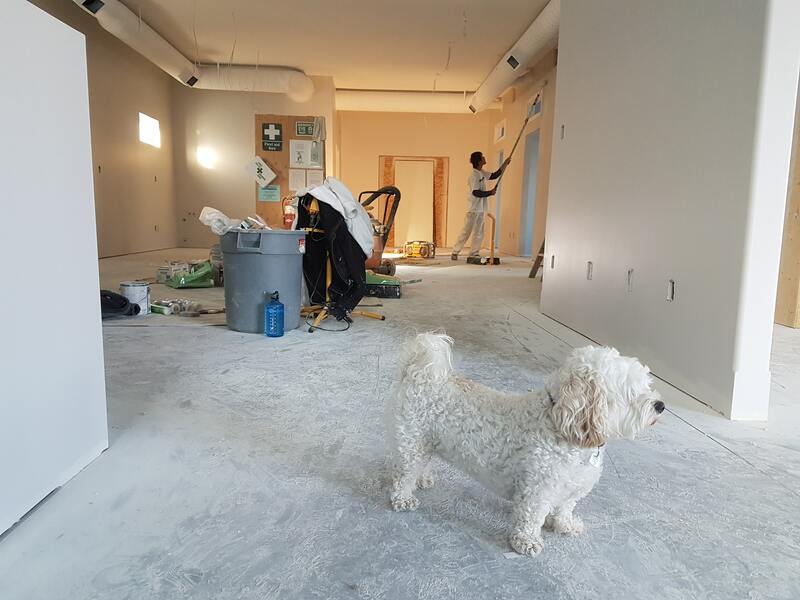 It is sometimes a soft subject discussing what renovations need to be done versus what doesn't really matter to a seller before putting their house on the market. What will you get your money back on? This is where your RE agent comes in... again. If your agent advises you on fixing some things like a hole in the fence, a leaky toilet, faulty wiring or stains on the walls & ceiling, you should probably do it! These are minor yet significant things that a buyer will use in their favor to try and negotiate a lower price for the home. Prevent this by being ready and prepared for the buyers home inspection! Get the small fixes done with the help and advice from a Real Estate agent. In many circumstances, a persons home can smell a certain way that they don't realize. This can be due to many reasons - such as cooking odors, pet odors or even trash odors if you leave things laying around for several days. Have someone you trust like a close friend or even your Realtor to come in and evaluate the smells to determine if you need to do more cleaning. Odors can really drive away a sale because buyers will seem to believe it is not possible to get rid of it. A sweet spot for many buyers is the kitchen. 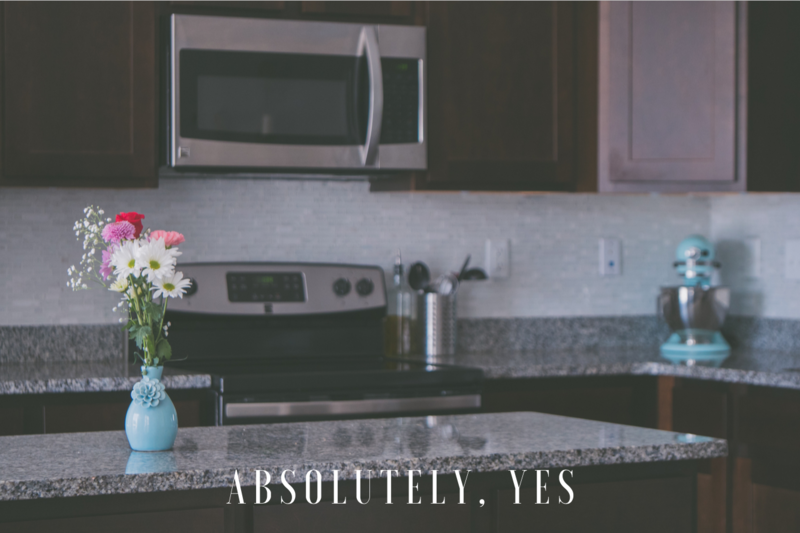 If they like two different houses pretty much the same but one has a more inviting and appealing kitchen with more updated appliances, more chances than not they will want to go with that listing. If your countertop is from the 70's or 80's you may want to get it replaced. I know, this sounds like $$ going down the drain, but there are actually several ways to update a kitchen and stay under budget while also making it look gorgeous. When people come to look at your home, expect them to look behind every single door - including closets & the garage. Help yourself and your sale out by organizing ahead of time. The better your space looks, the more able buyers are to imagine themselves in the home with all of their things. 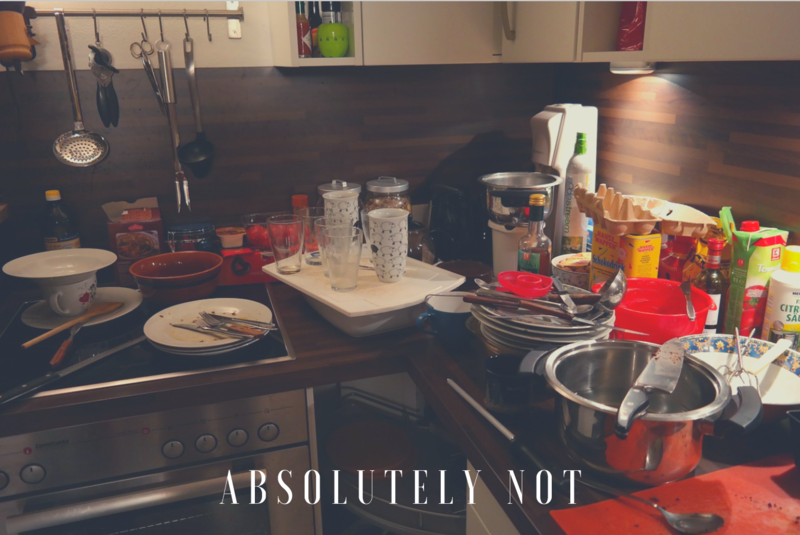 If your home looks disorganized and cluttered, the buyer will be so focussed on that, they will struggle to see themselves living there with all of their things. As difficult as this may be for pet owners... some people just really don't like pets. However, they may want to make a fabulous offer on your home. Just to be safe, go ahead and schedule for your pets to be somewhere else for showings where they can be comfortable. Maybe go visit some friends or take them to a park. 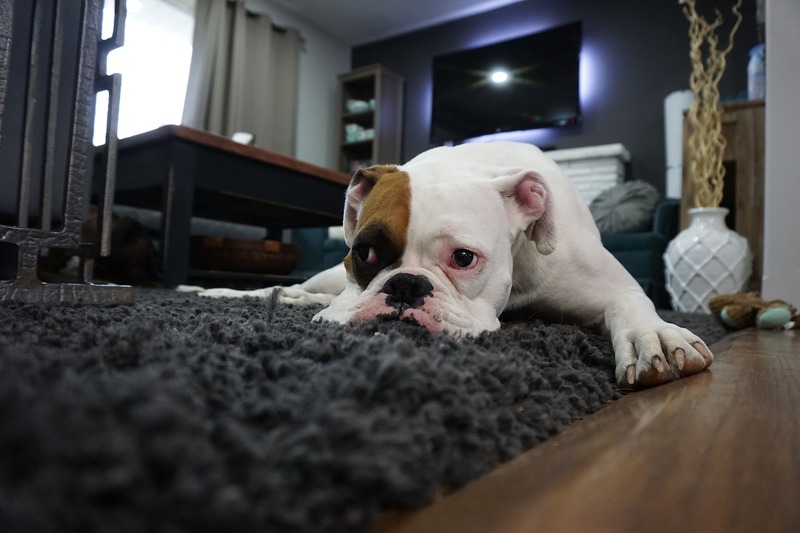 Even having the odors left behind in your home from your pets can be a real turn-off for some people. So keep this in mind! In pretty much every circumstance, smart homebuyers will always have a property professionally inspected before purchasing... EVEN in a seller’s market. Buyers nowadays are really quite savvy, according to Robin Kencel, associate broker with the Robin Kencel Group of Compass Real Estate in Connecticut. This is why it’s critical for sellers to get their own home inspection before putting their house on the market – so they know where it may fall short of buyer’s expectations. “The more we can head off anything that can be a negotiation point, the better”, claims Kencel. When sellers have their own inspections to prepare, this gives them the forefront of any house problems that would be an issue in the future sale. It also gives an opportunity to make any inexpensive repairs to avoid unpleasant surprises during buyers inspections. I can be the first to tell you that when you own a home, you soon become blind by small insignificant issues that guests would notice right when they come in. 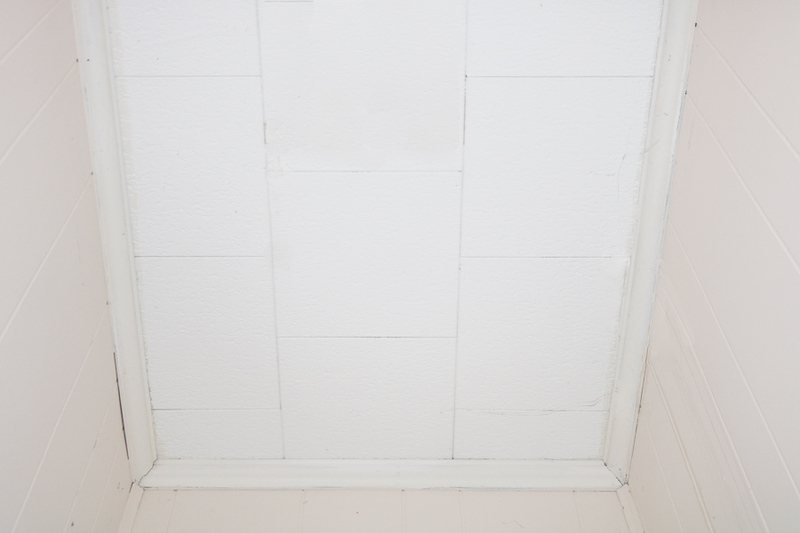 Like small cracks in the caulking on walls or gradual stains that have popped up on the wood panels of your home. For first-time homebuyers, inspections can be life-savers. As a crucial part of the buying process, it allows people to see flaws and potentially back out of a sale if needed. Your real estate broker is most likely able to make recommendations for trusted home inspectors, but if not, look for an experienced professional that has a good score with Better Business Bureau, has great reviews & positive references. Also, make sure to ask for a copy of their inspection form to see what items are covered in their inspection. Inspectors do provide extraordinary service that is very important, however, they do not have the ability to upgrade a house. They just make sure everything in the house is working properly. 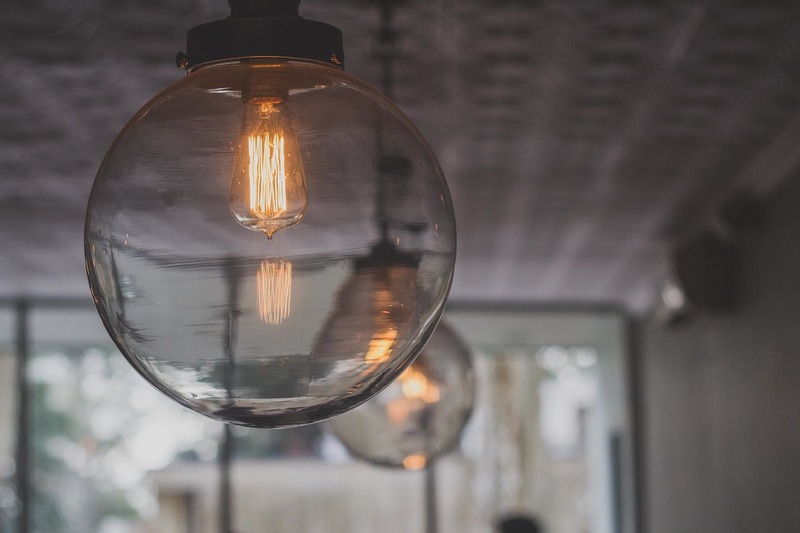 In a typical home inspection, it includes a visual review of the electrical system. Apparently it is a pretty common problem to have non-working lights during a home inspection. The inspector will make sure all the wiring underneath the covers meets industry & state standards and will ultimately decide if you need a licensed electrician to come for further review. 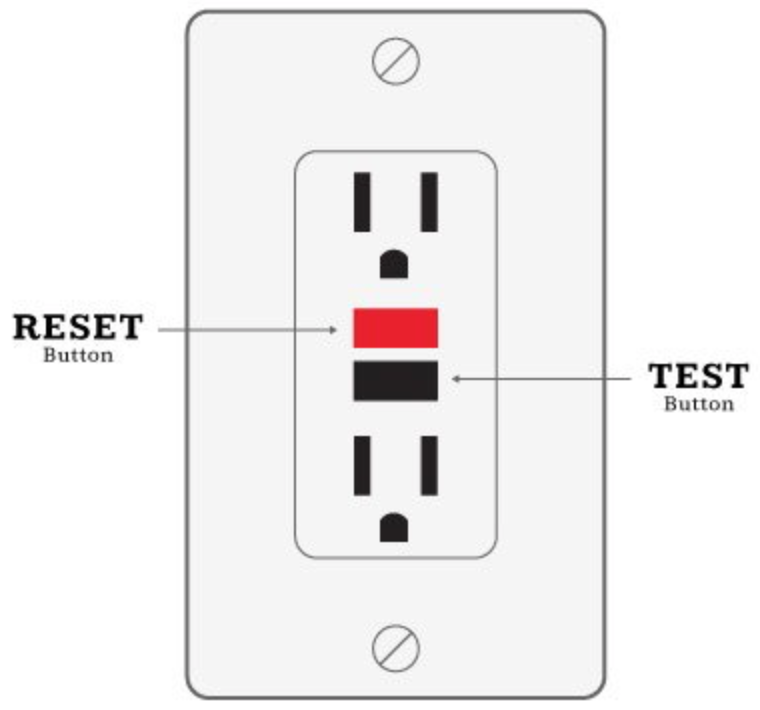 Another small but important thing – if you have any cracked or missing covers for your electrical outlets, it only cost 49 cents to buy a new one at the hardware store and takes less than 3 minutes to replace. This will save you from another mark on the inspection report! It’s the simple things you need to focus on first. Make sure carbon monoxide detectors are in working order with fresh batteries (along with smoke alarms). 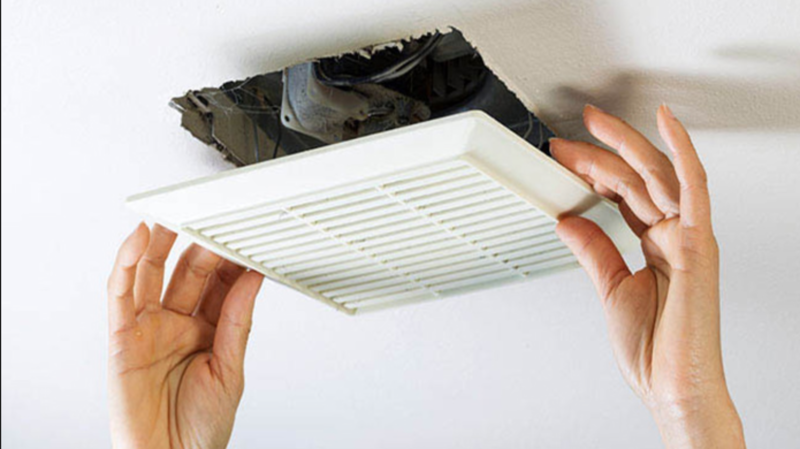 Also, replace filters on furnaces & air conditioning units. 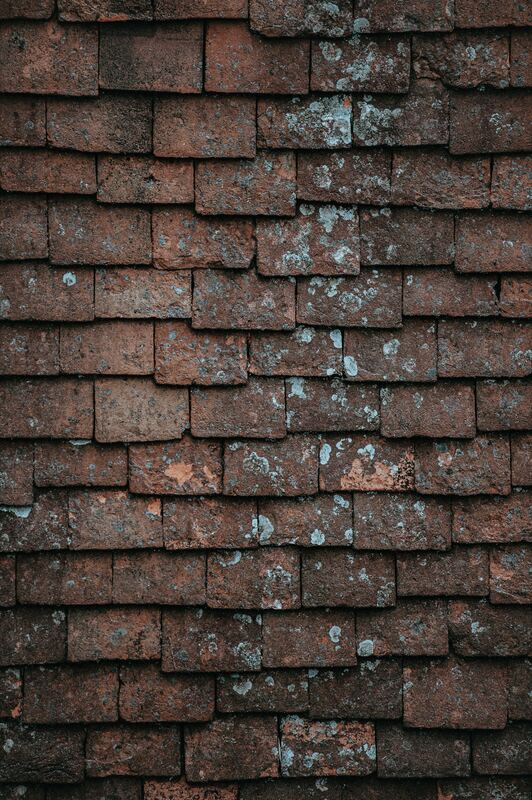 When buyers come to look at the home, if they see these ‘small’ maintenance tasks ignored, they will only be brought to the assumption or question of what else has been ignored in keeping up the house. Also keep in mind that inspectors will be checking built-in appliances to make sure they are in working order and take note of any obvious maintenance defects in their report. According to J.B. Sassano, president of home improvement firm Mr. Handyman, a Neighborly Company, it’s important to clean out your mechanical room as well as check for any problems or leaks with your HVAC system. “Inspectors are going to look for the big-dollar items”, Sassano says. It’s easier for inspectors to get a clear look at the system if you keep up with it and keep it clean. Like I said before, it’s the little things. The inspector won’t be able to test your washer and dryer if there are clothes all over the place. They will also want to see if a gas fireplace is in working order alright so in that case make sure the pilot is lit. Inspectors will not go and light a pilot. If for some reason, an inspector isn’t able to test an appliance or fireplace, it is a possibility they may note for the seller to demonstrate it to the buyers. AKA one more thing on your to-do list before closing, so its best to make sure and get it prepared so you don’t have to worry about ‘working order’ when there is a possible buyer in the home. 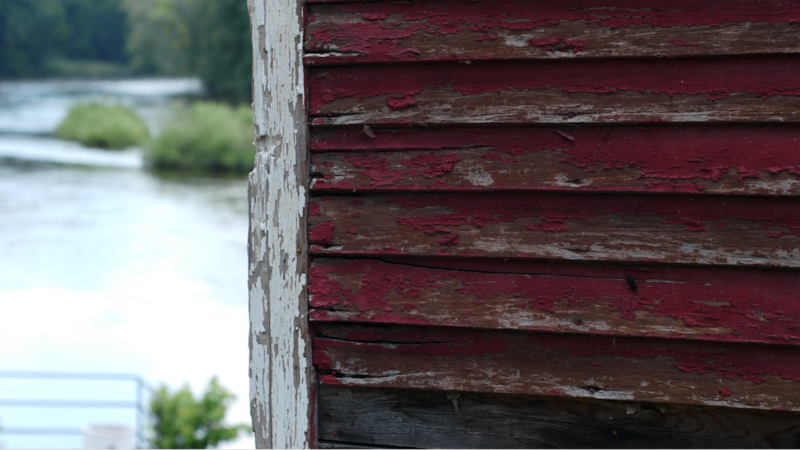 Important things to look out for on exteriors are peeling paint, hanging gutters or even loose siding. 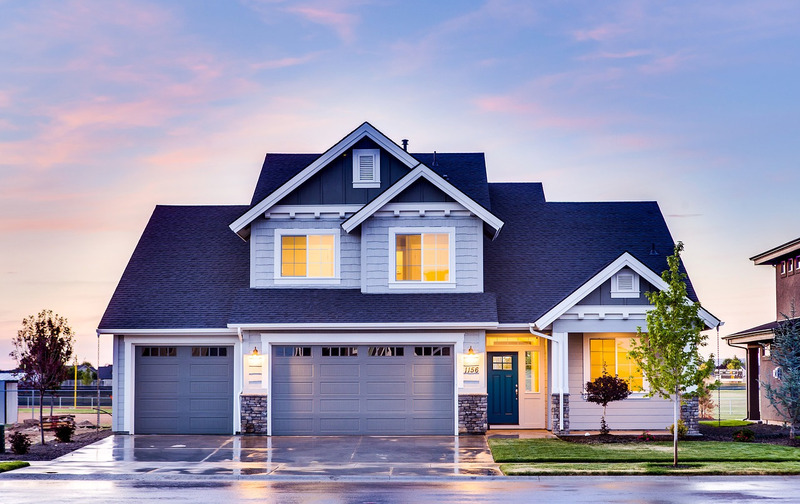 According to Deborah Savoie, a realtor with Long and Foster Real Estate, Inc. in Maryland, buyers “need to look at their house like they are going to buy it again.” Which is soo true. THEN, correct the problems before they become that potential problem for the actual buyer! Inspectors and buyers will both be wary of crumbling foundation or standing pools of water… wouldn’t you? This can be a sticky topic for homes older than 30 or 40 years old… literally and metaphorically. The vinyl windows can actually become sticky and difficult to open, especially if they haven’t been opened in quite some time. An easy fix for that is simply getting some inexpensive silicone spray from a home improvement store to help all windows be able to open and close. It is also recommended to check all interior and exterior doors in that they open and close easily too. Lubricate if needed, and clear out tracks of sliding doors. 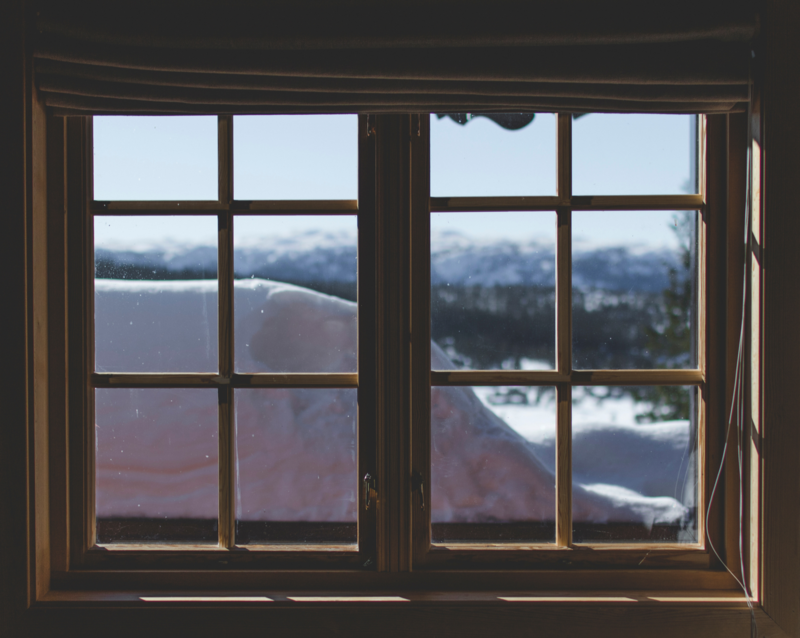 If by some chance you have wood-framed windows, make sure they don’t have any rotten or soft spots. Inspectors will also be keeping an eye out for gaps in the window framing – to fix this you should be able to just caulk it up to close the gaps. 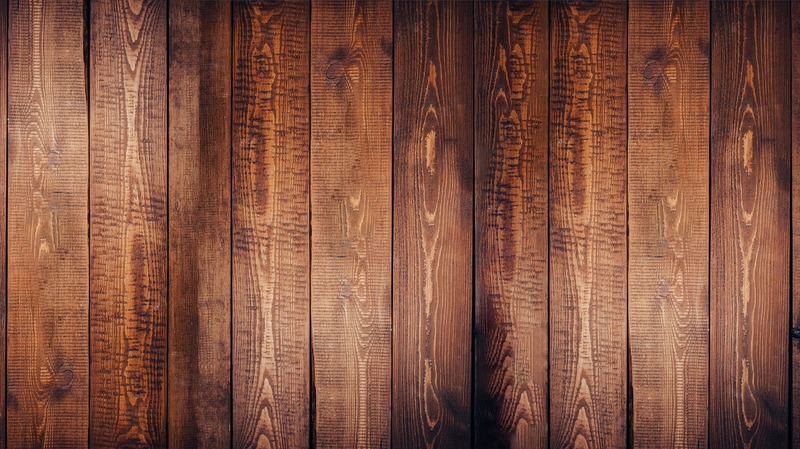 A stain in your home, no matter on a wall, ceiling or floor, leads to questions and uncertainty. With any stain, an inspector will use a moisture meter to determine if it is recent. Depending on the outcome, he or she will then make note and recommend a professional to handle the cause of the stain. 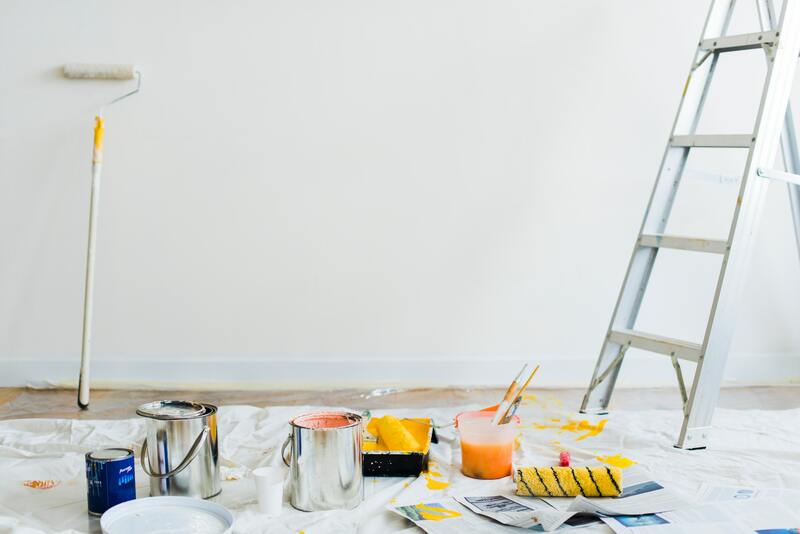 If it is simply just an old stain, it is still crucial to cover it up with paint because who wants a leery stain hindering the sale of their home? 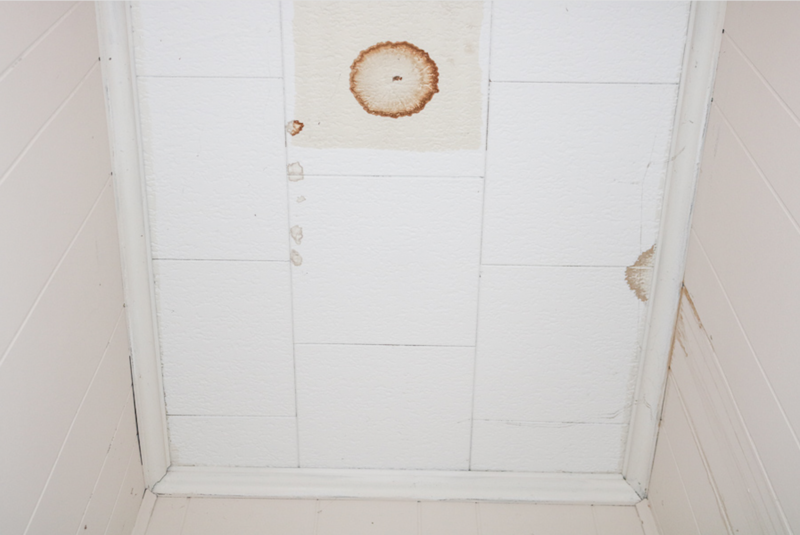 Mold has become very scary and will certainly ward off potential buyers. Fortunately, most mold can be killed off with a fungicide found at home improvement stores. Also try adding a dehumidifier to a room to dry it out and take moisture out of the air. This will also help prevent future mold from growing. (Make sure to check attics, basements, garages & bathrooms). Okay, an inspector doesn’t keep note on how your home is staged, but keeping it clean really helps the process. 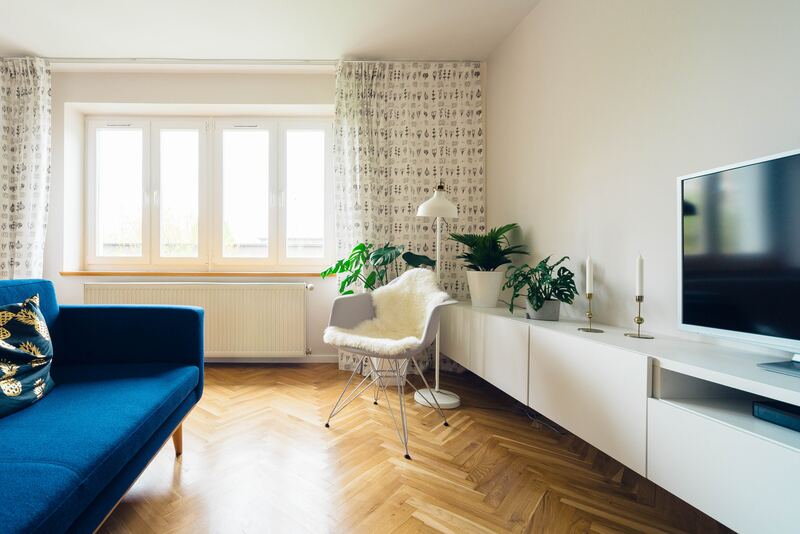 Even if you are nervous that cleaning and decluttering will uncover undesireable elements, Savoie claims there are often simple and inexpensive ways to address the questionable area. 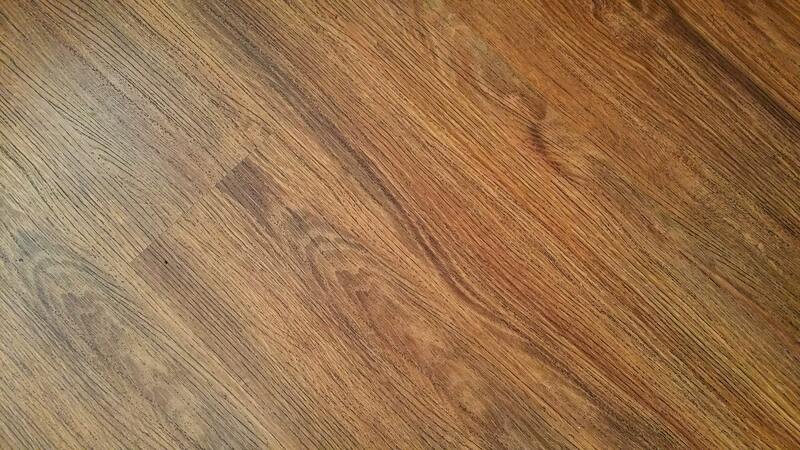 For example, she says “you don’t have to re-stain your floor. 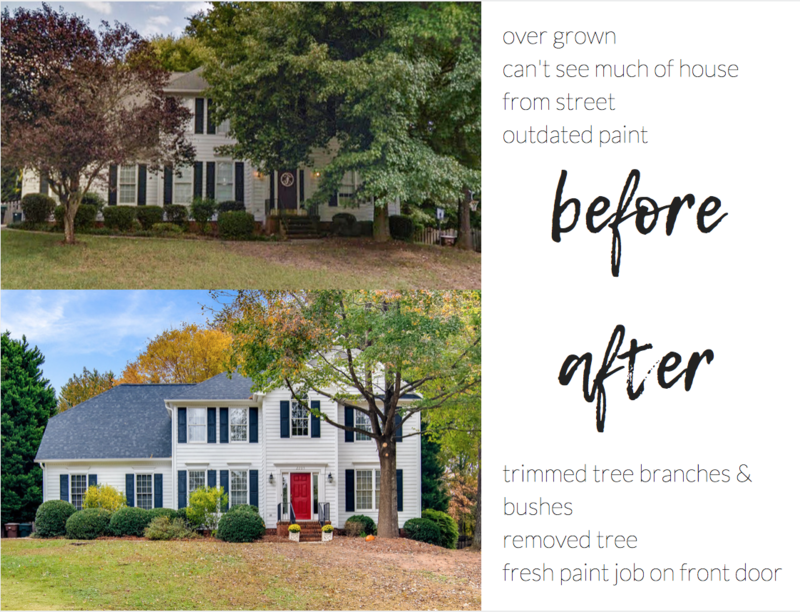 You just have to clean it (with the cleaning product) Old English.” Use your connections with your real estate agent (AKA Palmetto Equity Group) to determine the best ways to not break the bank & address unsightly features. If by some chance, you have a difficult review to deal with and can’t easily be fixed, go ahead and notify a prospective buyer. The last thing you want is for the buyer to be suspicious of you hiding flaws or being dishonest about the quality of your home. It’s not always possible to fix all problems before an inspection or even after, so it definitely is always an option to offer a credit at closing so the buyers can make whatever updates they need themselves. When buyers receive the inspection report, they most likely will connect with their broker. Ultimately, they will decide on overlooking certain defects (if there are any), and going ahead with the purchase, OR taking a step back to the negotiating table because they weren’t impressed. Splitting chores, figuring out parking spaces, claiming closets & letting your significant other down easy on their bad taste in décor. According to the U.S. Census Bureau, in 2017, more than 7.3 million homes were inhabited by unmarried partners. Combined with the astounding 61 million married households in the U.S. in 2018, well, there are plenty of people living together with their significant other. The process of combining 2 worlds into 1 is much harder than you think, whether you are a boyfriend, girlfriend, fiancé or spouse. The minimum requires ENDLESS patience and planning and of course an open mind. Here are 7 tips to help make moving in together a success. 1 – Talk TOGETHER about location and cost. There are tons of options for living arrangements - live in the current house or apartment, move into the others place or find a new place to call ‘home’. There are plenty of aspects that come into play here. Make sure you and your partner are on the same or similar pages regarding proximity to work locations & even distance from frequent or popular spots. 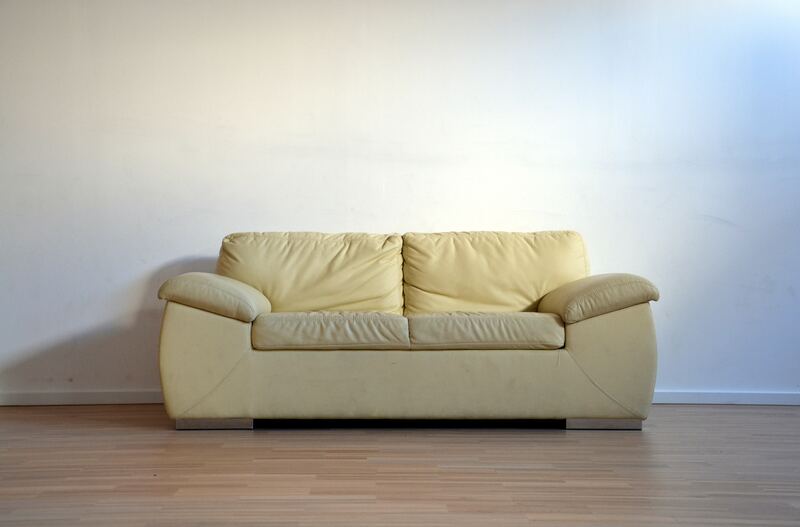 Often times, people find it best for both sides to move into a completely new home or apartment in order for both partners to start with a clean slate. This way the decorating can be done by both partners & also new memories are able to be made + shared together. It’s important to feel equal ownership to the place you inhabit so that there is a strong identity between your lives together and your home together. Okay obviously not everyone can afford to buy a home early on in a relationship, so renting a home is a fabulous option too. In whichever case you choose, it is important to establish residency for future endeavors. If you’re renting a home, make sure both names are on the lease agreement (which is usually a priority from the rental company anyway). A good way to stay on track with utilities or rent Is to have a set date for each month that money is deposited or collected to put towards those payments. Make sure to discuss what you need vs. what you already have. When combining two households into one, you’ll soon realize there wasn’t as much space as you thought. With 2 of many things, don’t feel the need to hang on to things that aren’t a necessity. And with things you don’t have but need (like a small dining table for example) try using Facebook Marketplace or some other second-hand app to buy what you need until you save up for something new. You would be surprised of the great deals you can find on already used items! If you have items you simply don’t have space for but absolutely don’t want to give them away, rent a storage unit! They really aren’t as expensive as you think. Just do your research and compare quotes to find the best space. Often times, couples can get a little heated with their preferred ‘design aesthetic’. Keep communication open and also have an open mind for your new space together. Maybe one partner takes more control of the living spaces and the other is able to put their taste into the bedroom or the game room. There is always a solution to every problem. Even when that problem is that your partner has not-that-great taste. With compromise you both will be able to design your home together and ultimately be satisfied with the decisions. It’s all fun and games until you actually have to vacuum, mop and take out the trash. It’s not exactly the first thing couples think about, but once you finally move in together, choirs become super relevant super fast. To keep smooth sailing, try having a conversation beforehand regarding which choirs you don’t mind vs. which one’s your partner prefers. For example, I actually sort of kind of like cleaning the bathrooms (or shall I say don’t mind it that much) and my partner feels the same about vacuuming & mopping… which works perfect. One thing that is very important is to make sure the division of labor is split evenly. It is critical to have clear conversations in dialogue of which jobs each partner is doing and how much of a toll it takes from your free time. For example, one partner may work from home and the other may work a 60-hour week and have to commute. It’s healthy at this point to rebalance tasks so both people are pulling the similar weight and also have the ability to relax at home after work as well. I know this isn’t the most popular or inexpensive option, but it can really help if there is a constant struggle in the living arrangements. If you and your partner feel you could genuinely benefit from a 3rd party’s unbiased opinion in order to help make living together a success, go for it! Even a financial advisor could really help counsel you and your partner to make smart decisions. According to Joyce Marter, licensed psychotherapist with Refresh Mental Health in the Chicago area, “The two main reasons people come into couple’s counseling are issues about finances and issues about communication.” This is so true. Efficient communication is imperative for success in any and all relationships. This includes financial talk. Sometimes it isn’t the funnest conversation, especially if one side is struggling more than the other… but just communicate and make goals with each other so you can be successful as one in your financial situation and ultimately your relationship living together. Did you know that there are permit regulations when conducting electrical, heating, air work or plumbing? Depending on the location, there are requirements needing to be met about standards of quality, according to Michael Flanagan- heating, ventilation, and air conditioning manager for Michael & Son Services in Richmond, VA. Typically to get the permits there is a fee, but it is worth the small price rather than risking getting caught doing it without a permit or even doing the work wrong (which is something I would do). 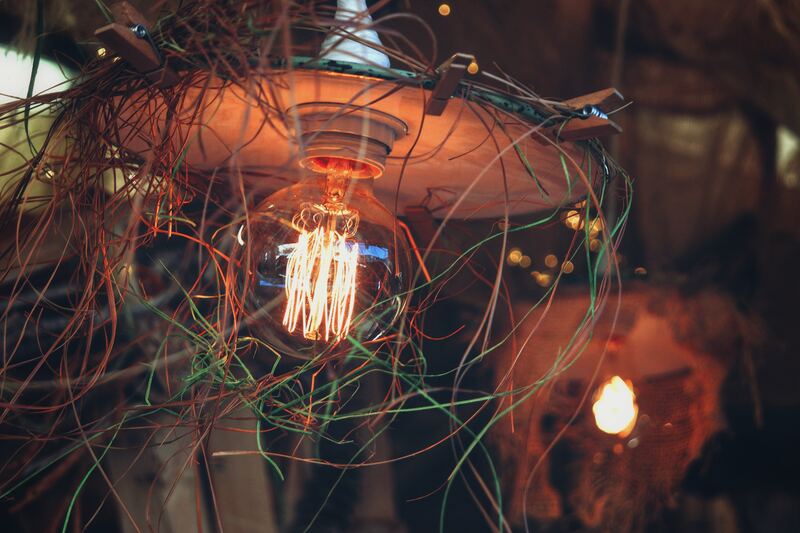 Obviously, exposed wires are not a good thing. At all. At my home we recently had an issue with our dryer – it stopped working unexpectedly. We had no idea how old it was or why it wasn’t working so we scheduled a professional to come look at it just in case. You would be amazed at what was found underneath the machine! Apparently, the people that lived there before tried to solve a dryer issue themselves (most likely) & had an issue with the duct connection so LEFT it unconnected to the base of the dryer underneath. Not only that, but once inside the bottom of the machine, there were tons of exposed wires, lint & dirt all over. It was filthy, and we were shocked at how nasty it was. The man taking it apart literally stopped during this process, looked up and said, “You are SO lucky this hasn’t caught on fire… I don’t know HOW it hasn’t caught fire…” Wow… that’s settling. Do yourself and the next person a favor and get your improvement projects done right! It’s worth it. Especially ones involving wires. 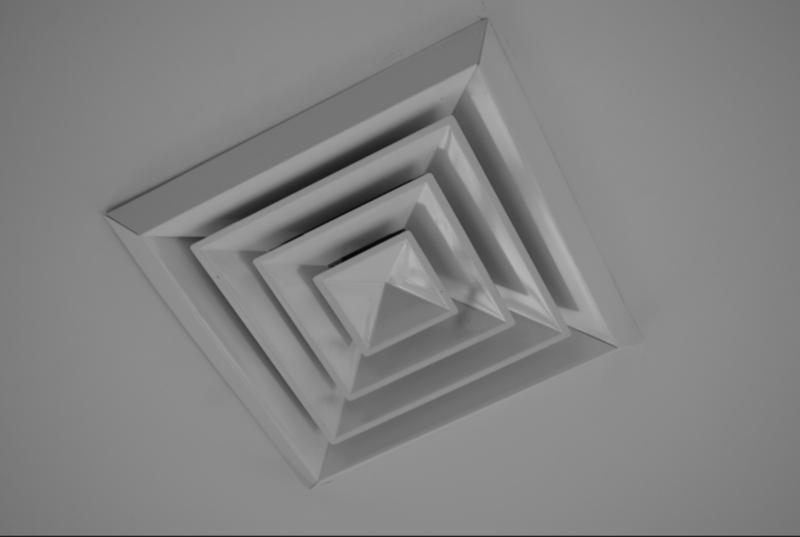 Okay am I the only one that has closed vents in my house to make the air go to a different room? Oops. Apparently this is a huge No-No. 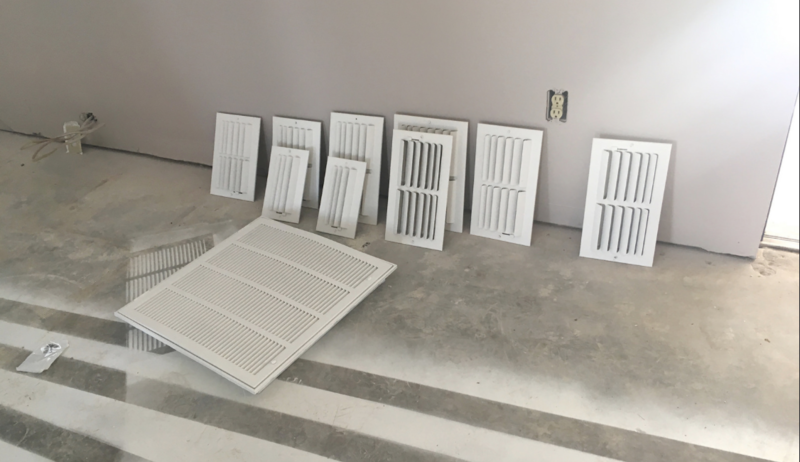 Closing vents to force more air to a different part of the house actually slowly but surely destroys the efficiency and shortens the life of the equipment dramatically. You don’t have to be a genius to know that water and electricity don’t mix. 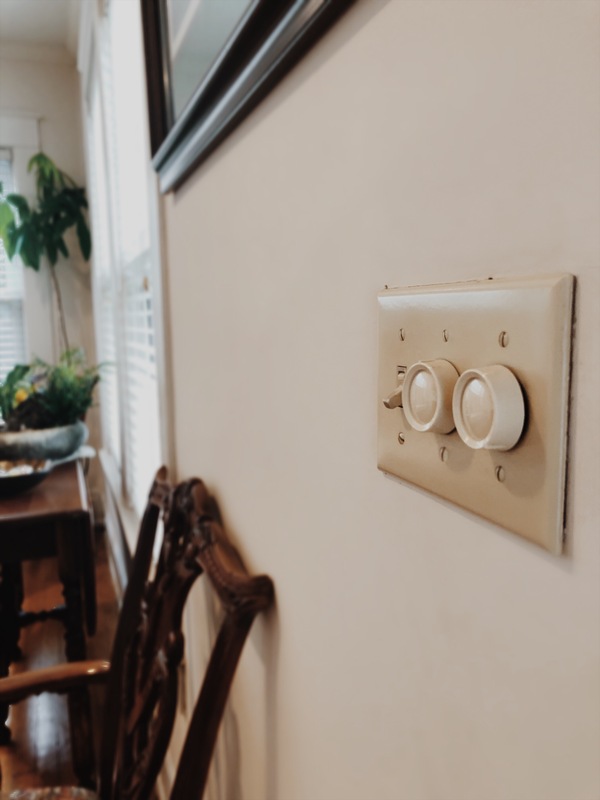 When you are remodeling a kitchen or bathroom, it is crucial to use the ground-fault circuit interrupter near any area with water. A GFCI is that funky outlet with the buttons on it that you have to press in order to make your blow-dryer turn back on when it’s not working. If your appliance is plugged into the GFCI outlet and falls into water, the outlet will trip the electricity, so it cuts off. This is such a great invention. I’m all for preventing electrocution so I highly recommend these outlets. 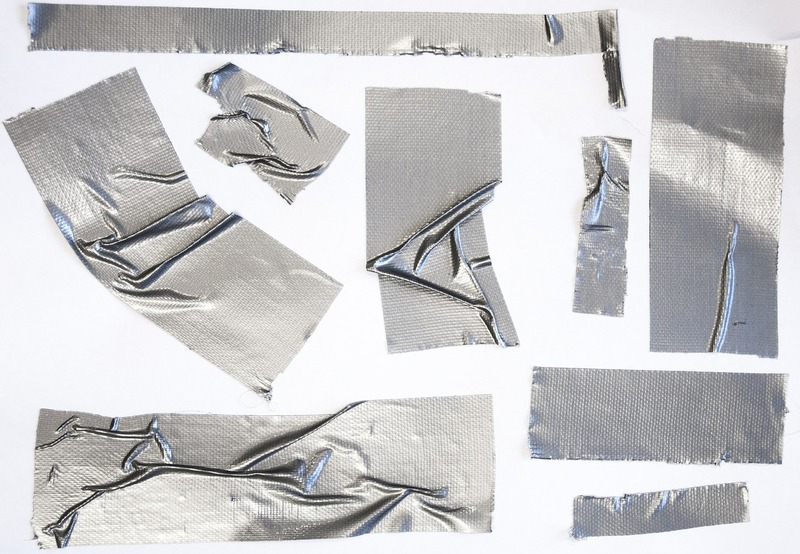 Unfortunately, duct tape isn’t as effective as most people think it is, and neither are the fancy glues and tapes that supposedly will make your boat still float when its cracked in half (yeah right). Flanagan claims that when it comes to gluing or taping something together, there’s typically a specific adhesive needed that will be most effective and least likely to cause problems in the future. For example, he says air and heating professionals use foil tape. Did you know that when you are building a deck, you are supposed to use sturdier & bigger bolts depending on how many people the deck will be holding? 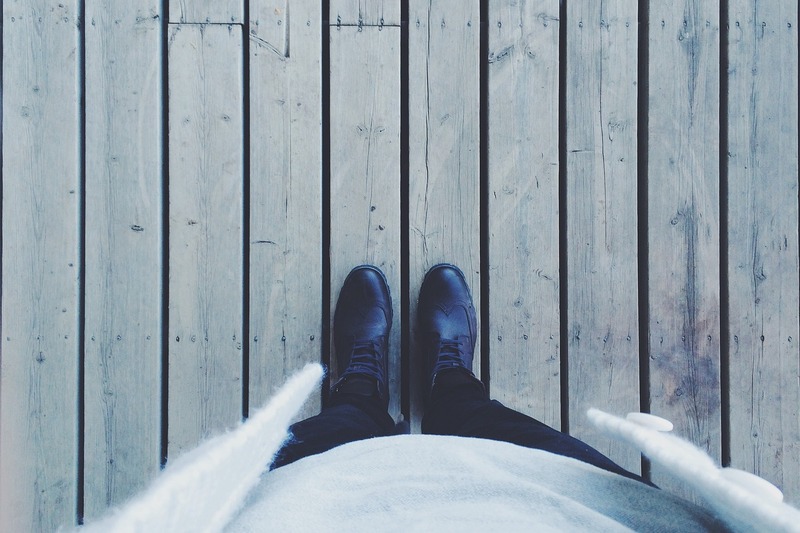 Home inspectors frequently see decks attached to homes with nails, when the builder SHOULD have secured the wood with specific bolts. 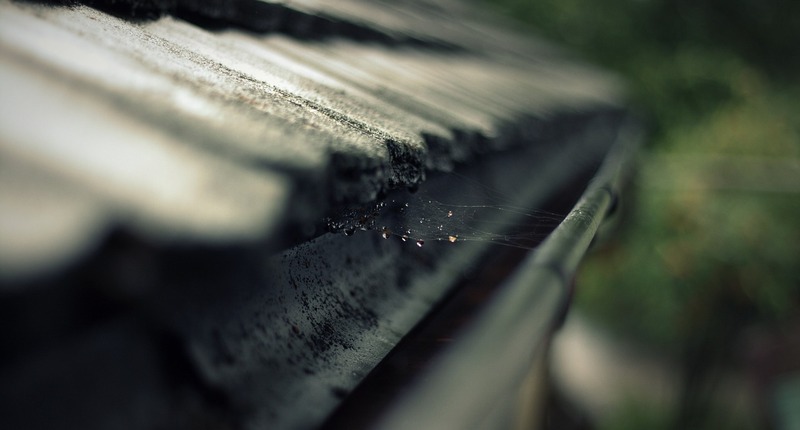 Frank Lesh, the executive director of the American Society of Home Inspectors, claims “every year a deck collapses because a guy just used a whole bunch of nails to attach it to the house." If you take on this project at home, you surely want to take all the right steps. 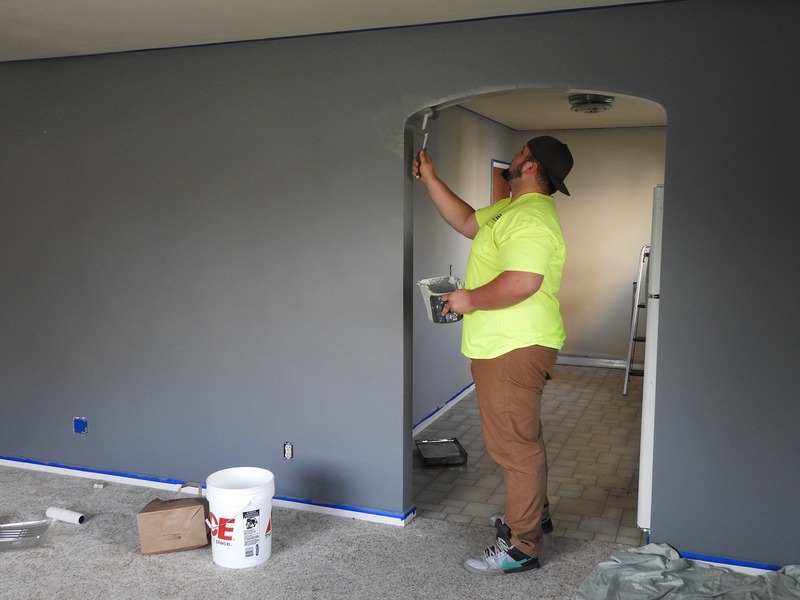 It is a popular idea that simply painting several coats of paint over a wall can have it looking brand new, but it is super important to get the surface clean and smooth before starting these steps. This is especially for getting rid of old wallpaper or chipped paint. If wallpaper is left on the wall before a paint job, the wallpaper will moisten and start to bubble. Then you will have to deal with this whole other issue of popping bubbles on your wall and I don’t think anyone wants to do that. Instead of having to re-trace your steps, just take the extra time to do it right and get the surface smooth and clean first. Okay this one was a shocker for me. 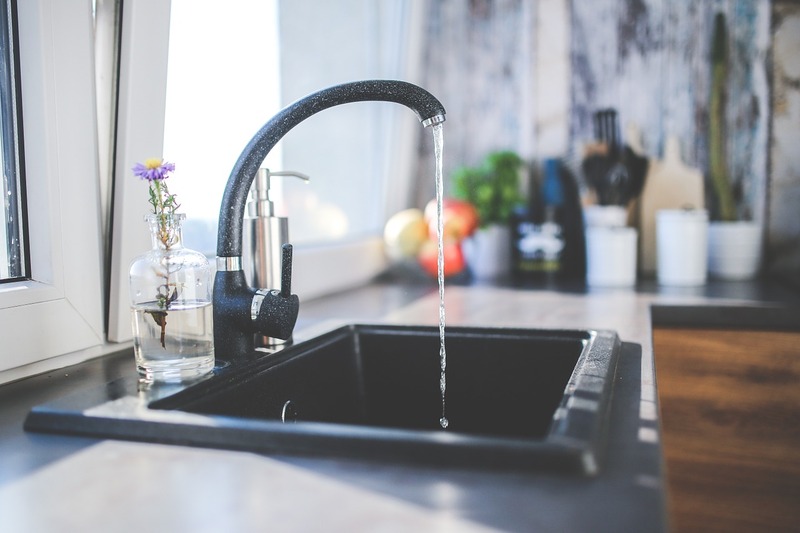 TLC is greatly needed for many older homes out there, but it is super critical to be on your toes about the dangers lurking beneath the surface. Especially with piping. 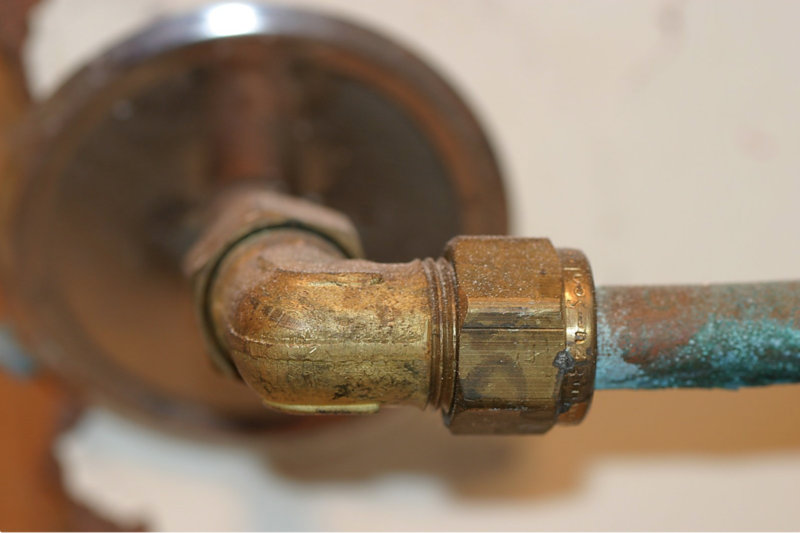 There is a chance that old plumbing materials could contain asbestos. Obviously, that’s not good. You don’t want asbestos to get into the air because it could contain hazardous material. And no, a dust mask won’t help. The fibers are microscopic and can SERIOUSLY injure you long term. With this job, you should seek an experienced professional to make sure particles aren’t left in the air when the job is finished. In summary, if you are *at all* unsure about a project, don’t hesitate to just call a professional for advice, if not to do the job for you. “With the trades- plumbing, heating, air and electrical – there may be five ways to do it right, but there’s a thousand ways to do it wrong. And people tend to find those thousand ways before they find the five ways. So if you’re not quite confident and competent in what you’re doing, you should just call a professional.” Flanagan says. If you own a home, you surely know the overwhelming commitment it takes to keep it in good shape. 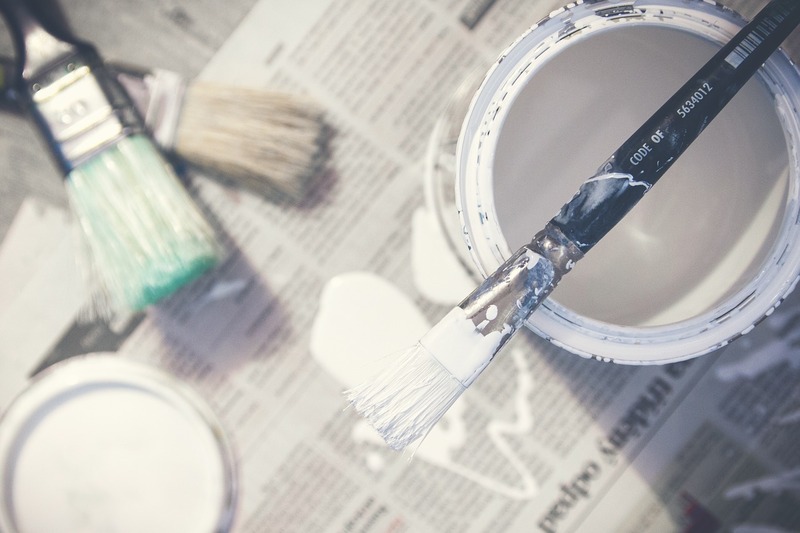 There is ALWAYS a never-ending list of home improvement projects… I constantly find myself saying “It’s always something!” in frustration while cleaning up paint chips coming off the windows or finding a tiny leak coming from who-knows-where onto the kitchen floor. Not only is it difficult keeping up with everything that needs fixing up but knowing when to do it usually ends up being the lingering question. Ultimately, the best time to start a home improvement project is when you actually have the time. But if you want to set yourself up for success by planning ahead, read on for some great timing tips. The nice thing about painting interiors is that you have heating and air conditioning. The main concern in this environment however, is the humidity. Moisture in the air will cause the paint to dry slower and also effect the texture of how it dries (It won’t be even). This means summer probably isn’t the best time to start a paint job on the interior of your home. Save that project for the winter when the air is at its driest. Okay okay… I know winter doesn’t seem like the BEST time of year to be outside building a deck, but it’s actually the best time of year for the wood! 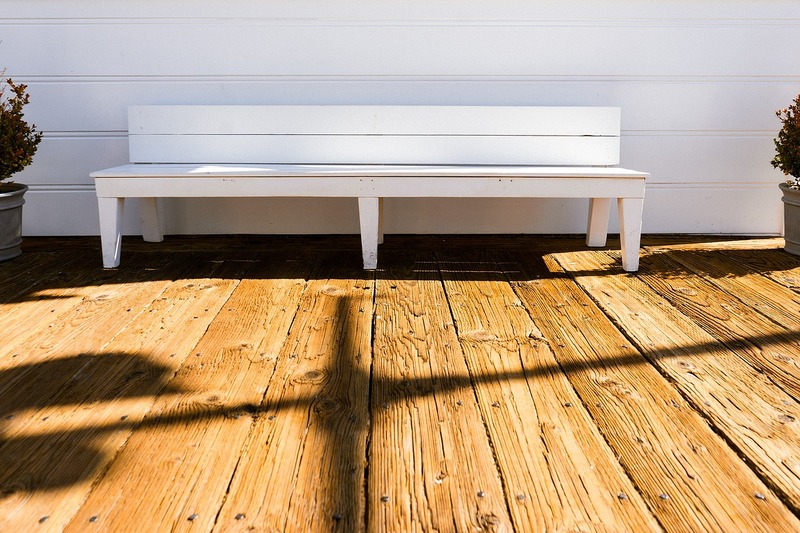 It is reported by deck builders and contractors that “pressure-treated wood” (best for deck building), stabilizes the best when humidity is super low. Plus, don’t forget about how easily that scorching sun can either crack the wood or make it bend with added moisture in the air. 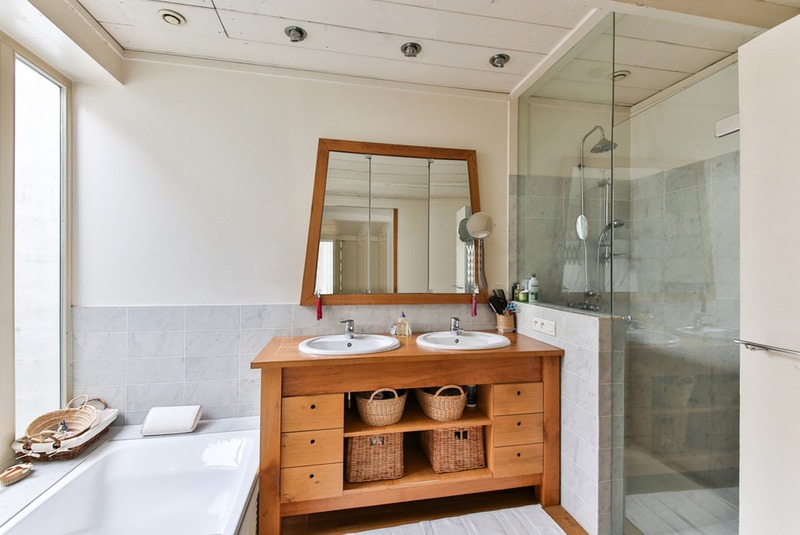 Bathroom remodeling can occur successfully during any month. 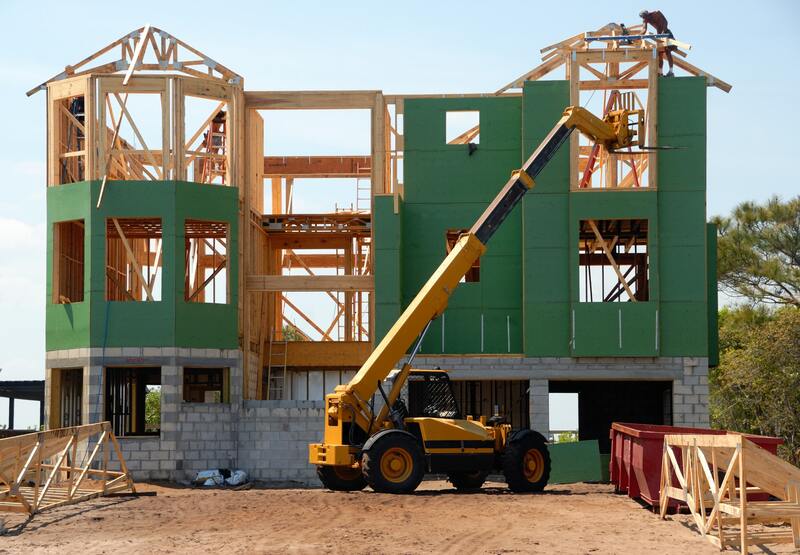 But if you want to avoid the other 48% of homeowners apparently wanting to do the same thing, avoid the rush during summer and start this project earlier in the year. HomeAdvisor reports that the busiest month for bathroom remodel requests is in July! The gutters are easily forgotten about. These babies can really do some damage to a house if they aren’t properly attended to. 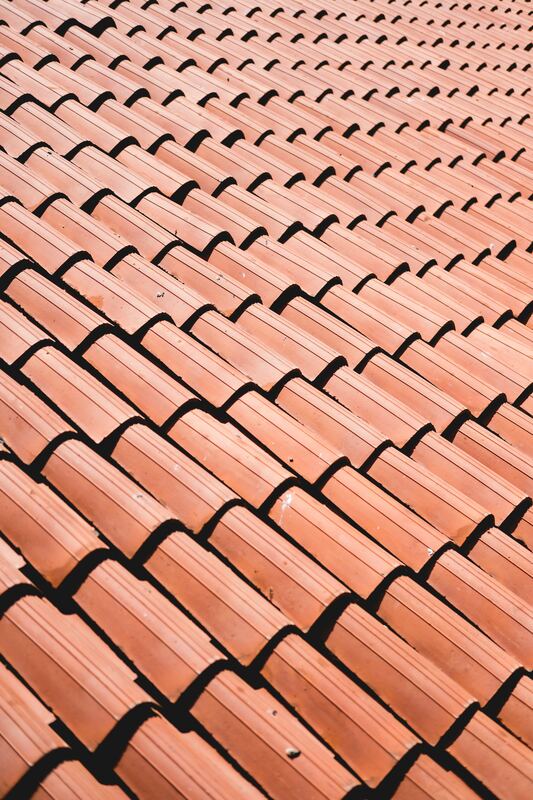 They collect leaves and whatever else draining off your roof, and if they get too full without being cleaned out, the drains can clog and ultimately lead to the gunk soaking into your house. The best time to clean them out is in the fall when most leaves are being collected, then again in early spring before April showers begin. 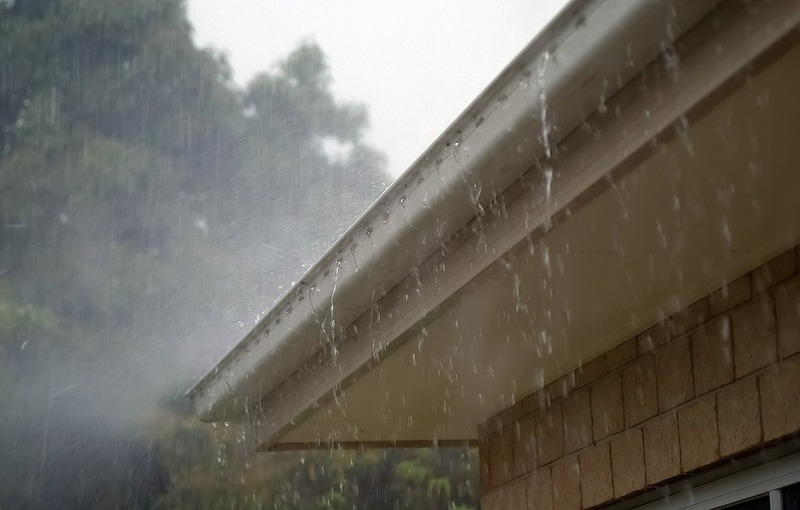 Remember: you always have the option of hiring professionals to properly clean your gutters if you simply don’t feel comfortable with high roof lines or ladders! 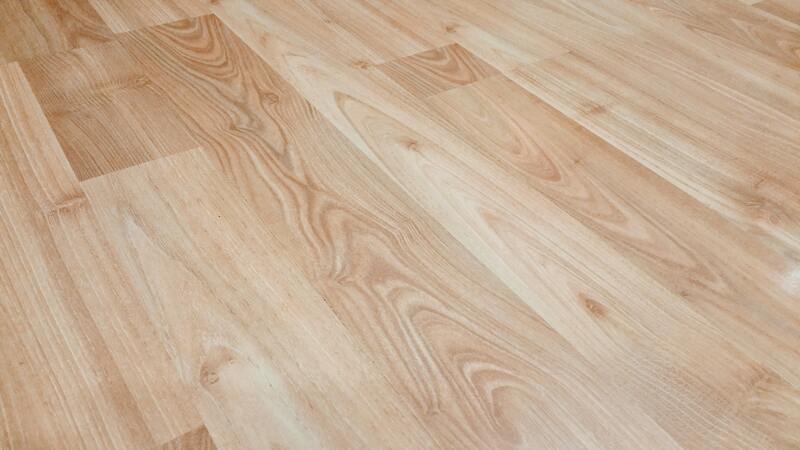 Least extreme conditions = best time to install wood flooring. If you take this project on during fall or spring, you will avoid dry air & peak humidity which are both harmful to wood. Also, you are able to open windows with some fresh cool air to help ventilate the smells of adhesive or wood stain. Ew. It takes a decent chunk of the year to fully repaint a house, but it’s totally doable! 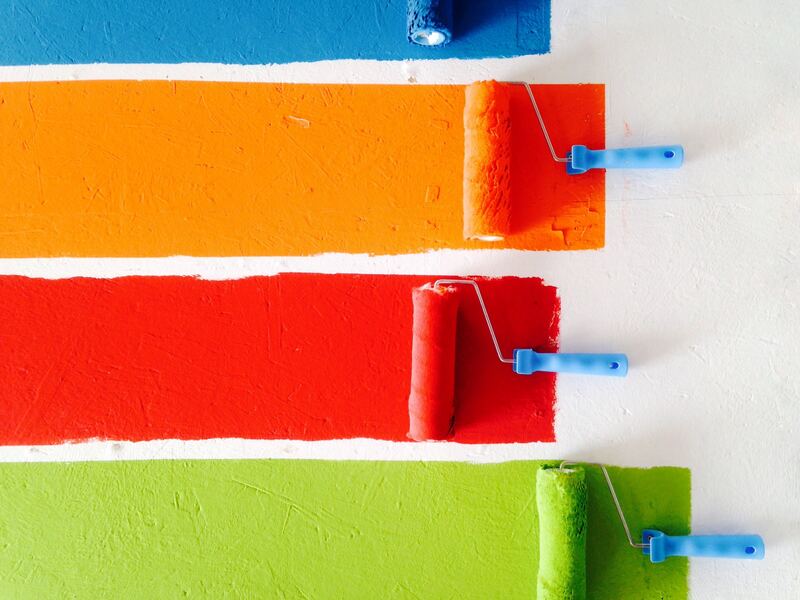 You would be amazed at how a simple new coat of paint can completely transform the look of your home. It’s important for temperatures to stay above 35 degrees for exterior painting. If you are planning on doing it during spring or fall, be prepared for delays due to rain and temperature decreases. People working on a rooftop in icy or wet conditions is just a disaster waiting to happen. This project is definitely for the time of year with the best weather, which unfortunately is also the busiest time for the professionals. Make sure to schedule at least a month or two in advance for this project. Who doesn’t love fall deals?!?! Leading up to the holidays, there are soooo many discounts going on, it’s definitely worth buying an expensive item on sale even if you aren’t going to use it for 6 more months. 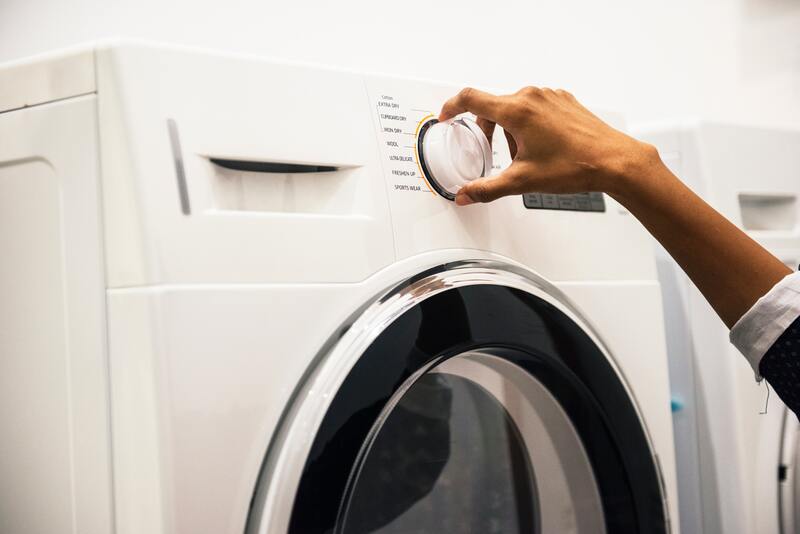 Stores that sell appliances like Lowe’s, Home Depot and Sears are known to offer holiday weekend deals regularly, so keep an eye out for that new washer and dryer you have been dying to get! First off, trends are supposedly getting a ‘longer shelf life’. By definition in my own words, an interior design trend is the popularity of an approach to décor as of the style, color, or pattern that is typically temporary. 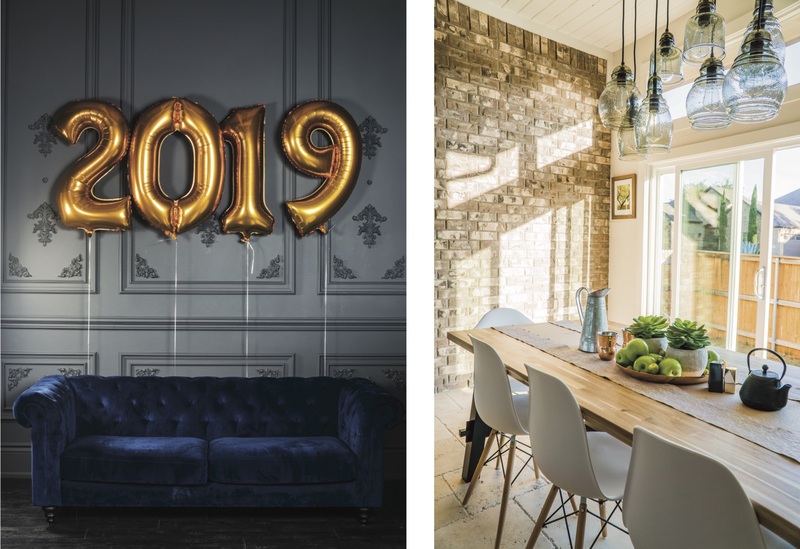 The past few years, the idea of simply updating your home has gone from easily do-able to I don’t think I can afford that for another year or so. Ultimately, the cost of homes and renovation increasing has led to trends being able to stick around longer. I’m pretty happy this is becoming a ‘thing’ because let’s be real, nobody can afford (nor has the time) to redecorate every 6 months. Unless of course you have no kids, no budget, and a lot of spare time on your hands. HA! The next trend is actually quite interesting. 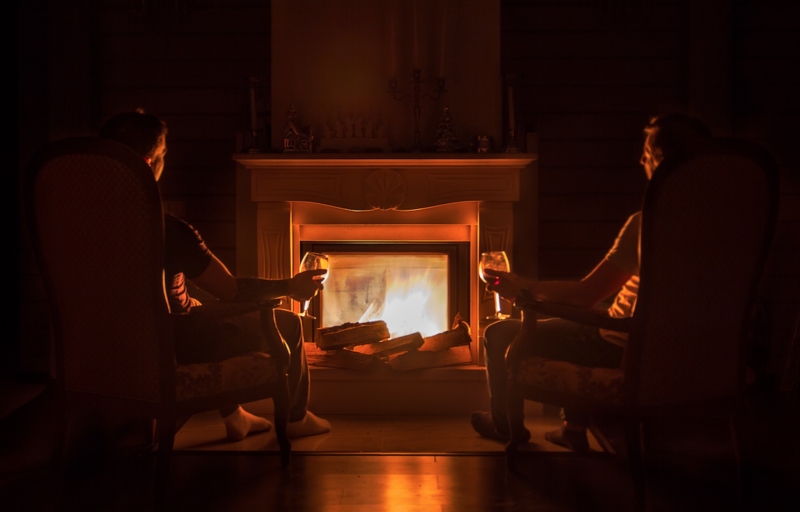 The past few years in the U.S., the Danish concept of Hygge (being cozy and content) has become increasingly popular - mainly in the cold winter months when people feel the need to bundle up and stay warm. Anna Starmer, U.K. based author of Love Color: Choosing Colors to Live With, suggests that people are low-key being encouraged to make their home a comfortable safe haven of sorts due to the current political and social moods. She states, “(I)t is no surprise that in recent times of uncertainties in the world, we are all starting to favour comforting shades and warming colours in the home.” This also includes rich comforting scents like citrus or cinnamon & softer textures in blankets, furniture and pillows. All in all – a setup that highly encourages you to R E L A X. Not everyone has a bold, energetic personality. And not everyone has the same interests in design. BUT, if you are willing, you should totally embrace your bold side and strive for an eclectic look for your home. You can do this in many ways. With a bright and happening wallpaper, or even some accented blue or orange pillows. Look for jewel tones and colors that contrast. If you aren’t the type to get bold wallpaper or do anything too drastic, but still want to make a statement, try painting an accent wall and getting other elements to match. Or simply adding some layers with throw pillows and blankets that have contrasting colors in order to create a new focal point in the room. Nature is becoming more and more influential every year. In 2019, expect even more inspiration from the lovely greens of the world. 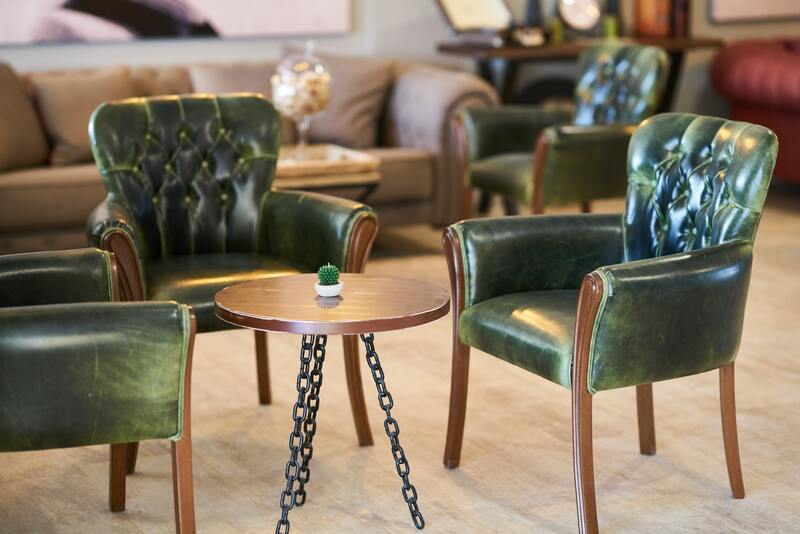 According to author Anna Starmer mentioned earlier, different shades of green are predicted to be much more prevalent this year in interior design AND fashion. Although, you do need to keep in mind that when you choose a color to help bring a space to life, be conscious of the textures and light in that space because it can alter the look indefinitely. Neutrals Are Getting Even Hotter. Everyone knows the neutrals. And if you don’t, you should! Stark white, greys, and the “greige” gray-beige combo have always been a way to play it safe with interiors. 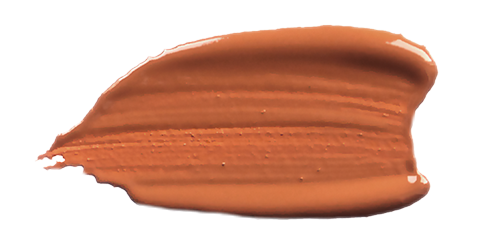 This year people are actually looking to these colors as more of a warm shade to evoke the feeling of being in a more natural setting. In relation to these colors, décor like real stones, wood, ceramic pieces and even glass help counteract / mix the colors, shapes and textures. 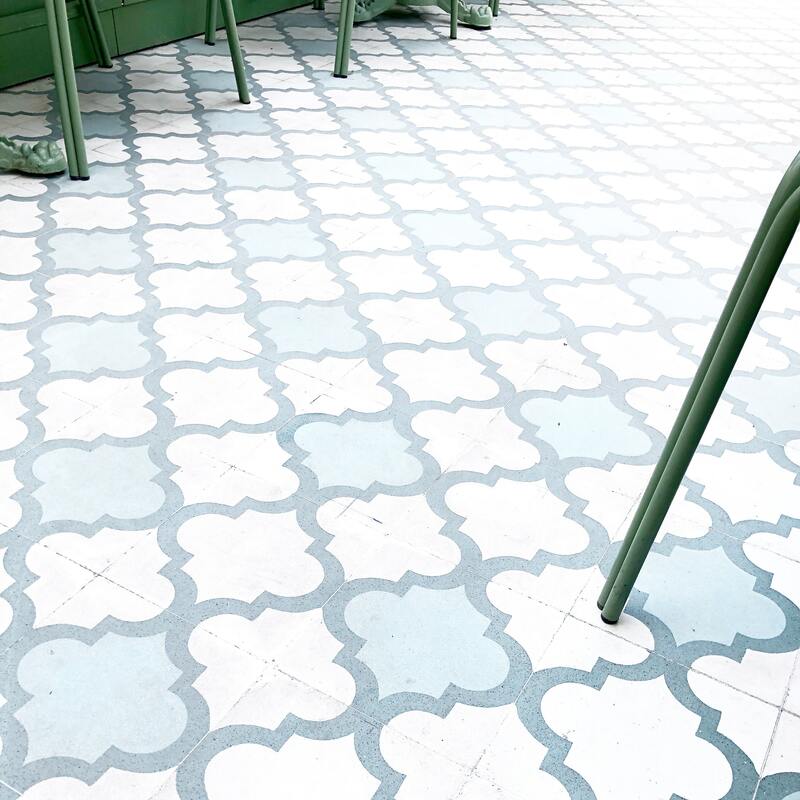 ‘Natural’ is Even Inspiring Floor Color. 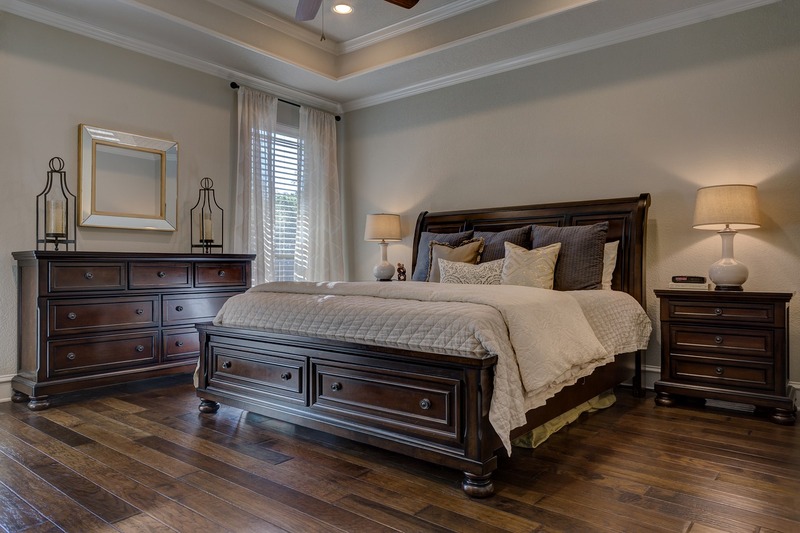 Dark wood floors have been decreasing popularity in 2018 according to Lee Crowder, design gallery and model branding manager for Darling Homes based in DFW, TX. 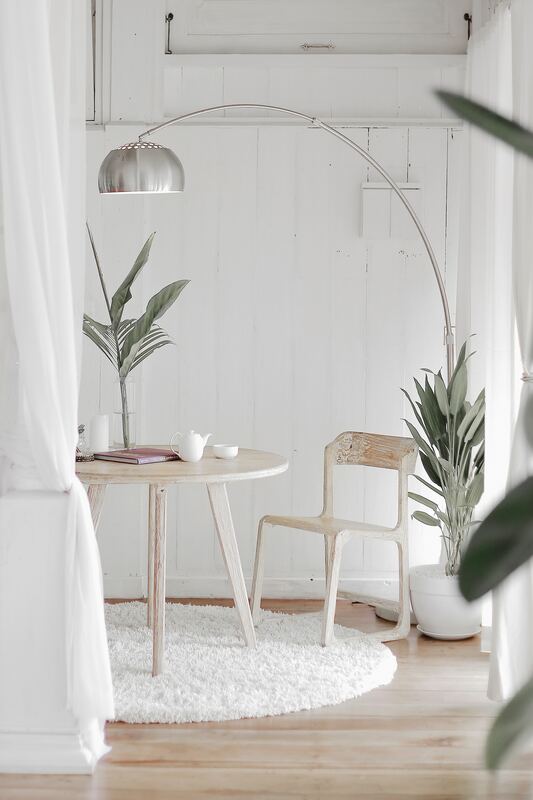 In 2019, the wood floors will continue to stay more on the lighter side and even increase in the ‘matte finish’ style which is quickly gaining popularity because of its naturalistic look. Manufacturers have even increased their product spectrum including varieties of vinyl or tile floors that look super close to real wood. 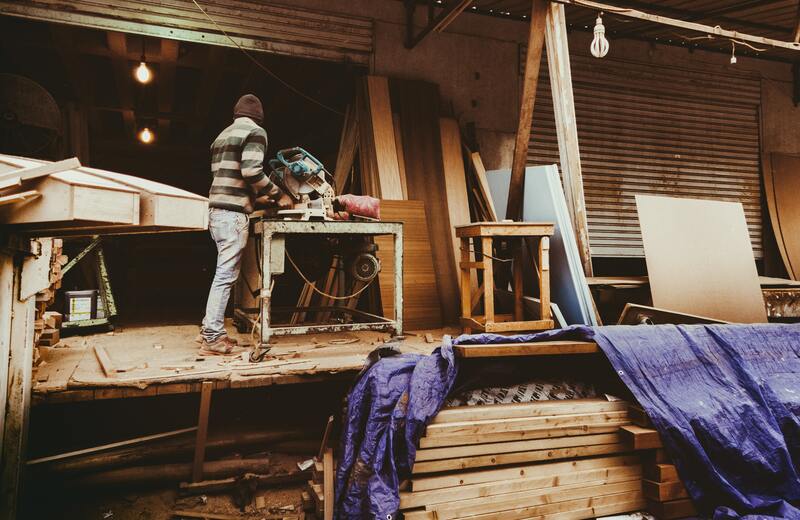 Food for thought – engineered and recycled wood still remain a more sustainable alternative to the usual wooden floor. Mixed Metals Have Made Their Mark. A few years ago, people would have thought you had slight to no taste having different metal finishes in one room. Especially a kitchen. But it’s actually becoming such a catchy trend. Mainly because finding every piece of hardware to match ‘exactly’ is difficult and a bit over-rated. Not only is it convenient, but mixing metals with the right balance can really give the space a glamourous, rich look. Feeling of metals can even be portrayed with wall colors and geometric shapes which can also be tied into other parts of the room. In a grand overview, it seems trends are becoming extremely focused and influenced by comfort levels. It can definitely vary however, depending on the person. From soft, romantic pastels, to textured palettes, or even bold jewel tones/ metals. 2019 will also greatly be influenced by people’s state of ‘being different’. Acceptance of uniqueness has widely increased and gained popularity in 2018 and in 2019 it will become even more popular. 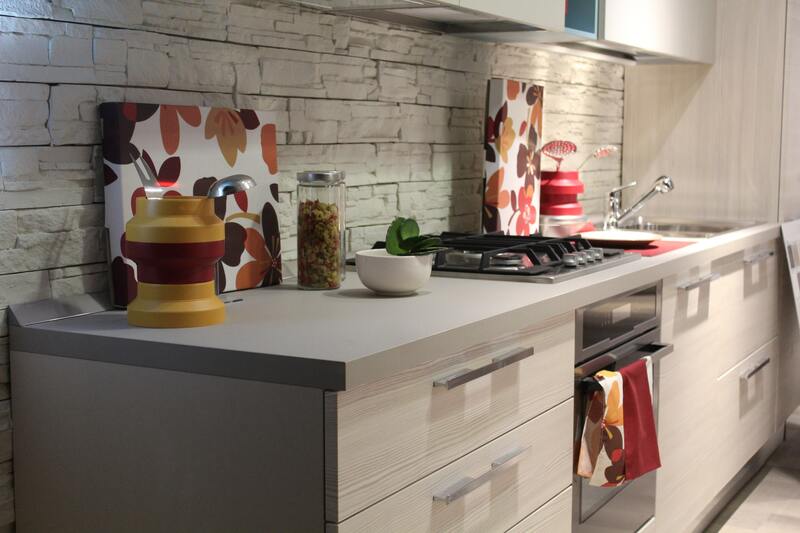 This gives you a perfect platform of having the opportunity to express yourself in your interior designs. Embrace what works for you instead of focusing on one widely excepted trend. If you aren’t even sure what that is, go take a look in your closet! Your wardrobe can really say a lot about you and help influence your approach to design. 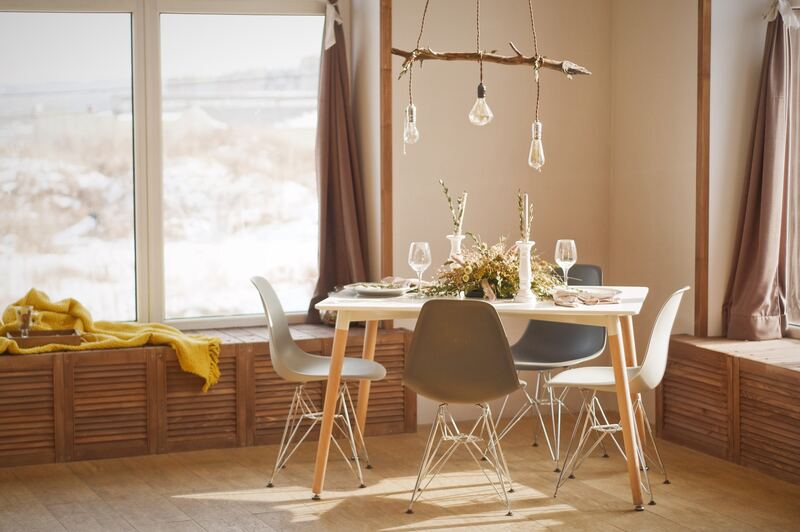 For example, if you are really into wearing solids and natural colors, implementing that same natural feel into your interior design can really make you feel at home. How to Prevent Those Darn Porch Pirates. One in 3 people have had a package stolen. The amount of American’s that have had a package stolen off their front porch is astonishing. 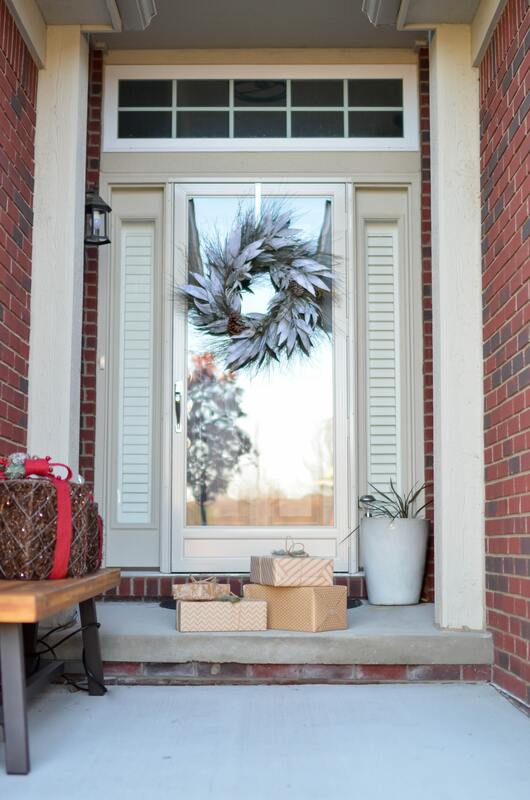 According to an analysis done by InsuranceQuotes in 2017, 25.9 million Americans have had their package stolen from their doorstep or front porch JUST during the holiday season. And that’s an increase from the 23.5 million during the holidays in a 2015 study. With online shopping rising, so is the amount of theft. I don’t know about you, but package thieves really irk me to a degree that nothing else can match. People work their butts off ALL year round to be able to afford gifts (especially for their children) and these porch pirates think it’s okay to just walk up and take these hard-earned gifts…with no remorse I might ad. Unfortunately, there’s no way to predict when the thieves will come sneaking up your door steps, BUT there are many ways to prevent it. In the past few years, in order to combat package confusion and theft, delivery services and startups have been working to find and create alternative ways to prevent porch pirates from getting packages and to help make the delivery process safer. For example, UPS has created the My Choice program. With this feature that was created in 2011, customers are offered updates on their packages and are able to view estimated delivery times & even CHANGE the delivery address prior to the scheduled drop off time to prevent the package sitting outside. However, if alternate delivery addresses aren’t relevant to help protect your package, UPS Access Point is another free feature allowing customers to choose a local public location for delivery (like a local bank or drugstore). If you live in an apartment or condo, there is another system available called Package Concierge that is a system of lockers which are typically installed near resident mailboxes. When the packages get delivered to the locker, the residents are notified via the app or email code and use this to unlock the right locker. They even snap dated, time-stamped photos of each retrieval and delivery! 1 – Get some cameras! My family and I recently bought Nest Cameras for our driveway and front door and let me tell you…I think they are the best investments we have made this year. 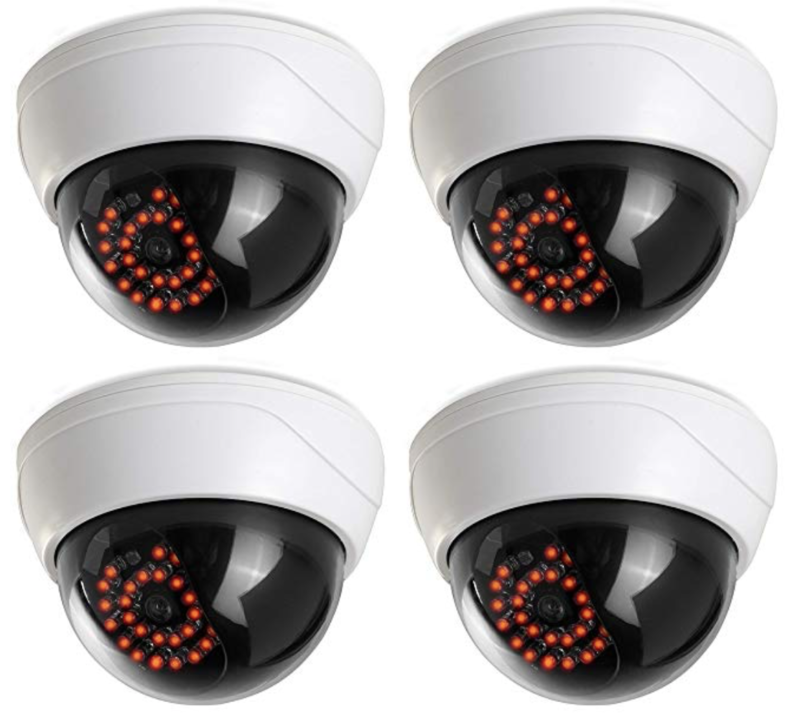 Not only do you feel the safety of knowing your property is under surveillance, but you also will have proof if anything bad were to ever happen. AKA a package pirate. 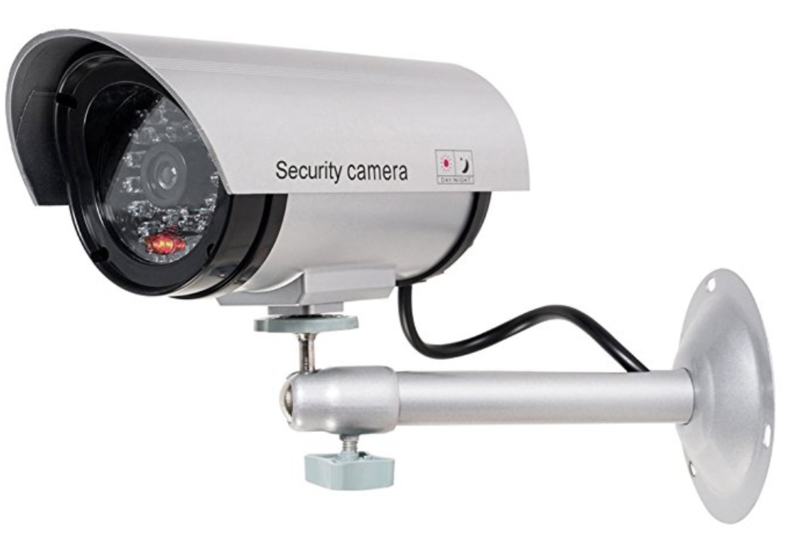 If a thief is smart enough, they will see the camera and hopefully be scared off (not that any thief is smart…). Can’t afford the nice ones?? Get a fake one! We had this camera for a while too and it looks SO real it’s unbelievable. (& cheap)! These are so easy to set up - all you do is put some batteries in and pin them on a wall. The lights continuously blink making it look like it is capturing film... quite impressive. 2 - Porch coverage to block the packages. What better way to lure in a porch pirate than to have a pretty fresh package sitting on your porch in the wide open. Get smart about your receiving tactics and put something on or around your front porch to hide deliveries. This can include a chair, a planter, a thick column, or a decorative ceramic piece. Simply leave a small note for the courier to leave the package wherever you prefer. 3 – Have packages delivered to a different location. If you have a package being delivered with valuable items, or just don’t want it waiting on your porch regardless, you can always request it to be held at the delivery facility until you are able to pick it up yourself. Or you can have it delivered to a secure location via UPS Access Point, Amazon Locker Delivery & Package Concierge. This helps with not having to travel super far out of your way to pick it up. Many online retailers actually offer free shipping to close-by stores, so customers can pick them up safely. 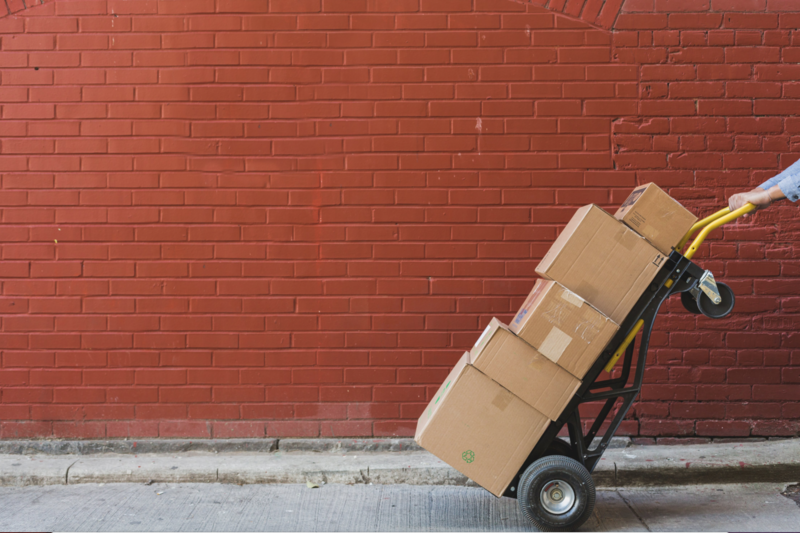 Keep in mind – the best way to protect your packages is to simply stay proactive about its delivery (time and place)! It’s a comforting cozy sensation you get every time you step out into the crisp, cool air to smell the scent of fire burning, and see the beautiful rainbow-colored leaves. Well, guess what? 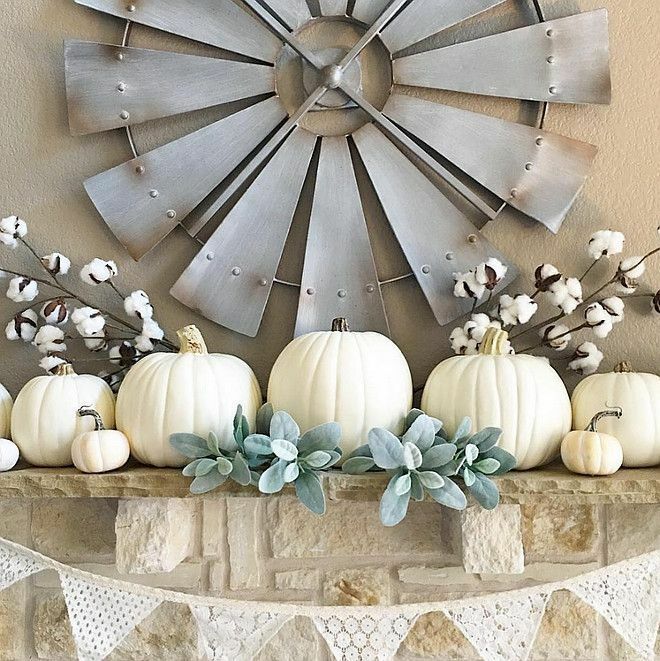 You can also get that feeling inside your own home with this DIY guide to fall decor. Just like every other season, fall has its specific & unique scents, color palettes and styles that you are able to incorporate all over your home! When the fall weather finally hits, it really does evoke fuzzy warm feelings (at least for most people unless you aren’t human) jk. But seriously, who doesn’t like fall?! These fuzzy feels are mostly represented or reflected with fall’s signature colors - burgundy, tan, orange, yellow, rust, brown, gold, reds.. basically warm tones that create that inviting & toasty feeling. When thinking about the interiors of your home… the color integration is limitless. Think of simple changes first - like adding a few burnt orange colored feather pillows on the sofa or adding a tan throw across an ottoman. One thing we like to do in our office is add a few small pumpkins and even a trendy vase full of wheat, which I am typing by right now as I drink my under-rated Starbucks Pumpkin Spice Latte - (pictured below). You could even add some gold colored tins in the kitchen along with some burgundy or maroon towels on handles of drawers/dishwasher or oven. Always remember, just a few changes, additions or adjustments go a long way! I believe the sense of smell can sometimes be the strongest trigger of nostalgia. What better way to enhance these great memories than with some fun fall candles?! Like burgundy or evergreen colored ones smelling of cinnamon (or whatever fall specifically smells like to you). Check out this link for some AMAZING smelling fall candles from one of our favorite brands, Wood Wick (duh.) - Some of the favorites are pine & fireside… but theres TONS to choose from! Or you could take the more difficult route and just bake a pumpkin pie every day to leave your house smelling warm and sweet… ha! If only I had all the time in the world…. Here’s a to DIE FOR semi-simple Pumpkin Pie recipe from the delicious Preppy Kitchen. Let’s get cookin’! 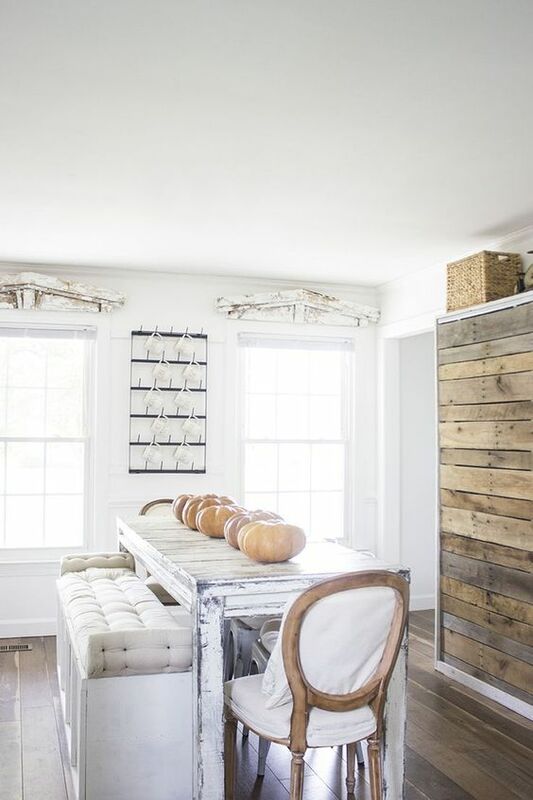 The idea however, is not to overwhelm a room or space with too many pumpkins. Use them more as a subtle addition to a room with other decor like candles, leaves or wheat vases. Many people wander… ‘how early is it to start decorating my house for the season?’… okay first of all, it's your home! Do what you want! Second.. did you know it’s scientifically proven that decorating your home for a season makes you happier?! Yep. It’s true. Especially for Christmas time! Check out this link to read about it!! 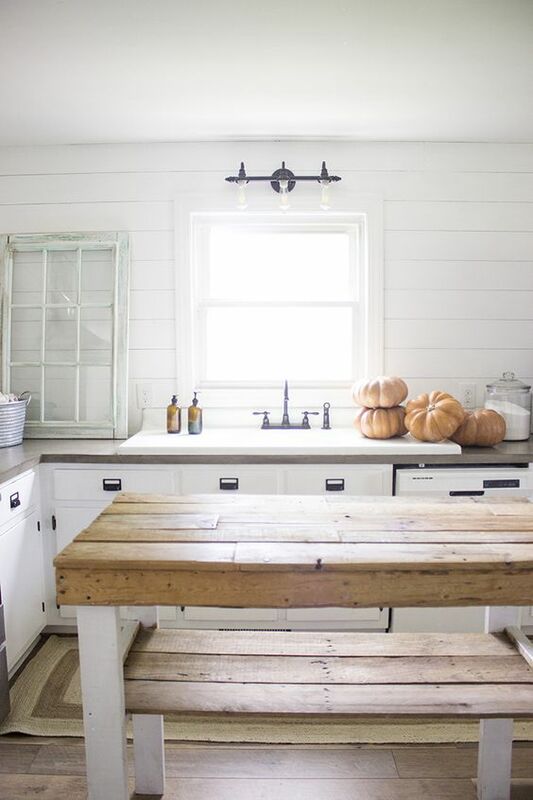 We think its never too early to start prepping your home for your favorite season. Bring out the decor! And most importantly, have FUN with it. Selling your home can be super stressful regardless of it being in a buyer’s or seller’s market. “To sell a home quickly, it needs to show well, be marketed well, and priced correctly”, according to Goran Forss, broker at Allison James Estates & Homes located in Temecula, CA. Preferably, when putting your house on the market, you will want that puppy sold ASAP…. And these tips and tricks will help you get closer to accomplishing that goal! 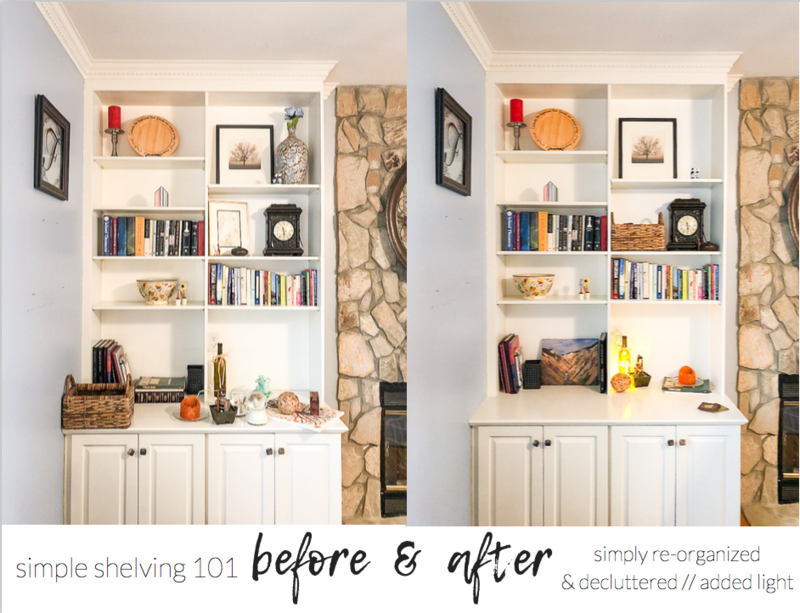 Decluttering your home can be done in two ways… either shoving everything ‘clutter’ worthy into cabinets, under beds, behind couches, OR you can simply rent a storage unit to put everything in so you don’t have to even worry about it. We highly recommend this route because it will also force you to get rid of things you don’t need or use. (Holiday decor, seasonal items, baby clothes, that new mini fridge that just sits in the corner with nothing in it). ALSO, if you choose a portable unit, that will make moving that much easier in the long run. 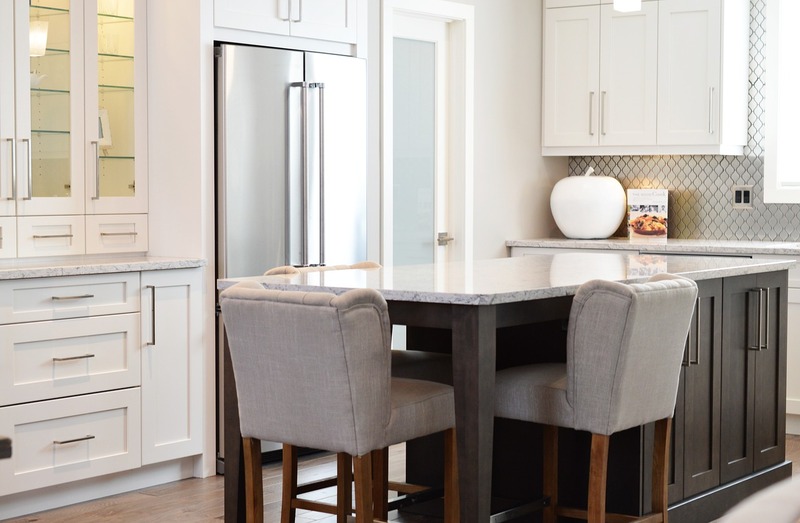 There aren’t many real estate companies that have more than 50 years of combined experience with buying, selling, leasing, property management, home staging AND connections to the best professional photography & home care. 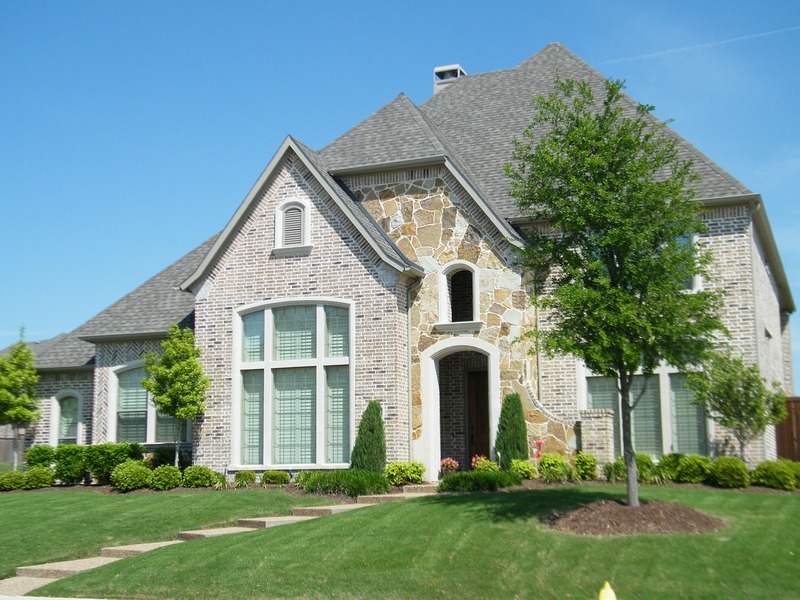 The first impression buyers get from your home are the listing photos & curb appeal. We know how to make those look fabulous. 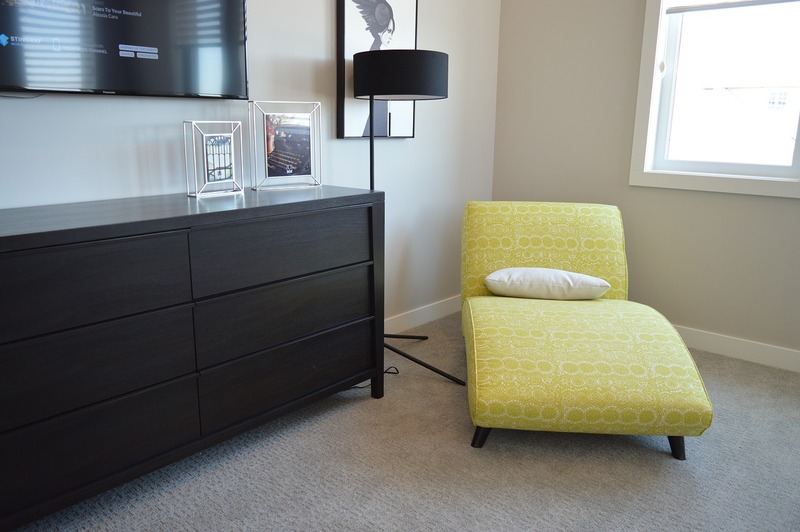 Many people don’t have the money to pay for staging however, so an alternate route to take on that is having a friend or relative walking through with fresh eyes to offer some opinions on moving things around, & setting areas up to look bright & inviting. The goal is to first draw the buyer in, then make it not only desirable for them to live there, but possible for them to imagine themselves in it. That is done by…. It isn’t necessary to go over-board on major remodels. In most cases, you probably won’t get your money back. Instead, focus on the smaller upgrades, preferably in the kitchen & bathrooms. For example- new light fixtures, new sink/cabinet hardware in kitchen, new shower curtains & hand towels in bathroom. All of these small improvements are more on the inexpensive side but can really help persuade the buyers to fall in love with the spaces. Remember - small upgrades can have a huge impact! Let’s be real… majority of people want a home that is bright, has spacious rooms, & looks clean. 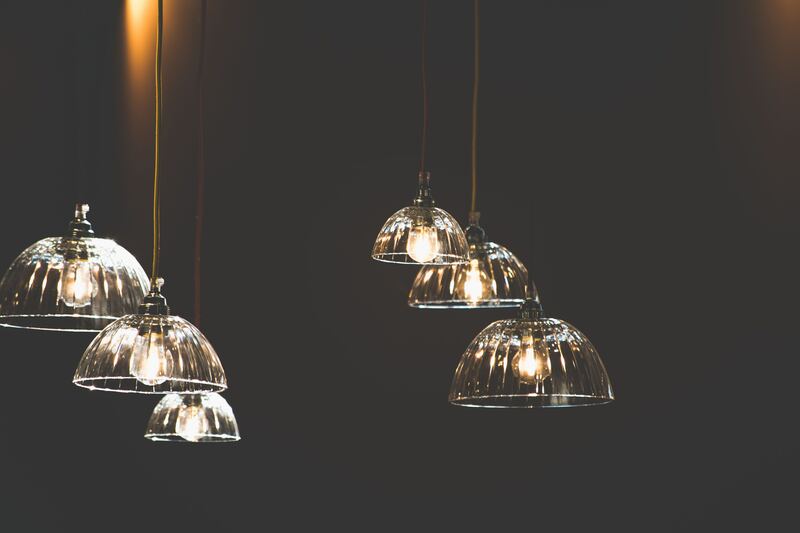 Start by increasing the use of natural & artificial light - that alone can help with brightening the mood. 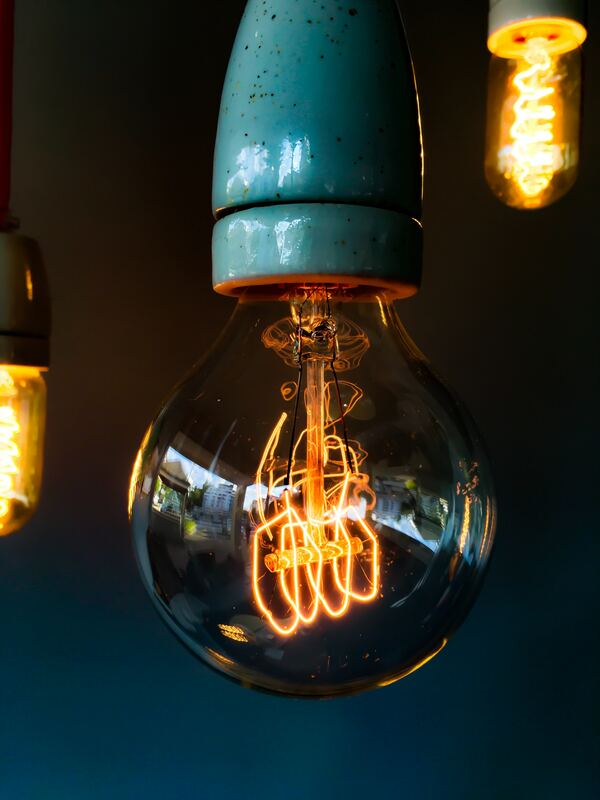 If you have many rooms without windows, try putting more lamps in corners or on tables using the highest wattage lightbulb you can find & that will definitely do the trick. Also, a fresh coat of paint, mirrors, and a simple deep cleaning can really help accentuate spaces. Try to stick with neutral paint palettes unless you are painting a wall as a focal point and want it to pop. 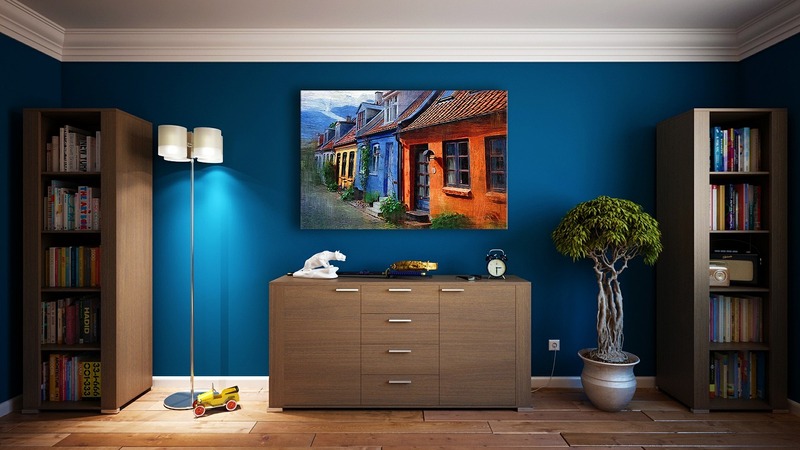 Great colors would be anything providing a soft & bright feel, like beige or light grays. When someone drives by your house, can they even see it? Are there trees blocking the house? 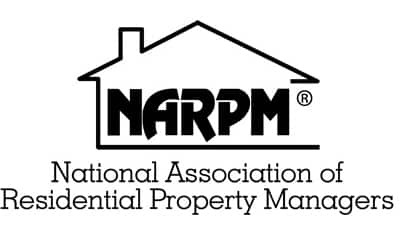 Is the paint color worn or does your driveway need pressure washing? These are all things to consider when thinking of the curb appeal. Remember that the outside of the house is what people see first… it’s like going on your first date and dressing up with your most dressy outfit and using your nicest cologne or perfume.. go big or go home baby. In order to draw people in, you really want the exteriors to look clean and inviting. Easily transform your front yard by clipping/trimming shrubs and bushes, trimming tree branches, adding a fresh coat of paint to the front door or shutters, and even pressure-washing the sidewalk & driveway. Everything matters! Even things as small as the door handle or numbers to your house.. polish them up… clear cobwebs & bird droppings… add some flowers! We know it’s easier said than done, but just remember, the better it looks on the outside the more people are going to want to see the inside! Selling your house, picking a price and also making sure it’s in tip top shape can be overwhelming. That is why real estate companies like ours are here to help! Trust someone with the right qualifications and experience and that knows how to read the housing market in order to properly list your home. Well, for starters.. let's look at the difference between a Seller's Market & a Buyer's Market. Buyer's market definition: A buyer's market occurs when the properties for sale outnumber the amount of buyers actually shopping for a home... thus giving buyers the upper hand. In this circumstance, listings/homes will be on the market for awhile (months), before a buyer comes along and when they do, the seller is more inclined to give in to the buyers requests in order to get them to the closing table. (Just think > Buyers market = sellers crying). Seller's market definition: A seller's market occurs when the buyers outnumber the properties available. This creates huge competition among buyers leading to bidding wars, offers placed on properties unseen and even buyers going over listing price to get the attention of the seller before the property is gone. (Sellers market = Buyers crying). As a highly localized industry, real estate has laws & economic statuses that differ state to state as well as wide variations among property values. 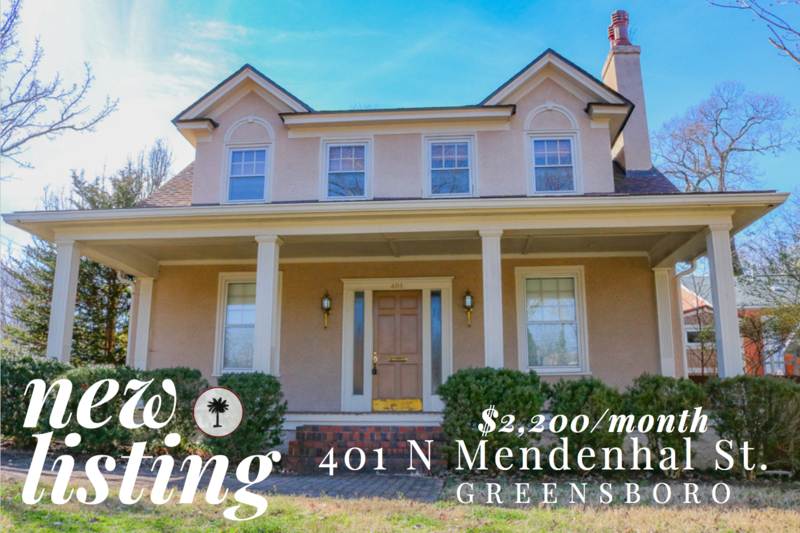 For example, the housing market in Manhattan functions very differently from the market in Greensboro, NC....which is exactly why it is crucial to pay attention to factors that will make the biggest impact on your real estate deal according to YOUR local housing market. 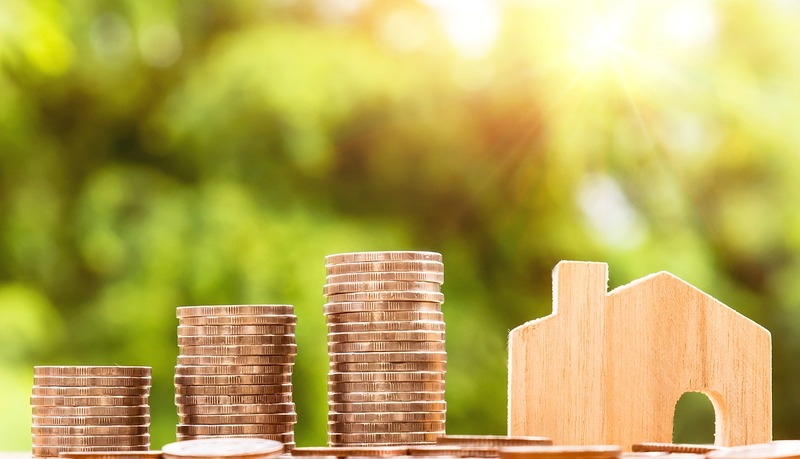 When looking at the national housing market, you will definitely always see common or underlying trends taking place all over the U.S. as well as commonalities among more popular parts of the country. However, if you are just focussing on understanding relative value of your home, you should focus more on researching your local market.